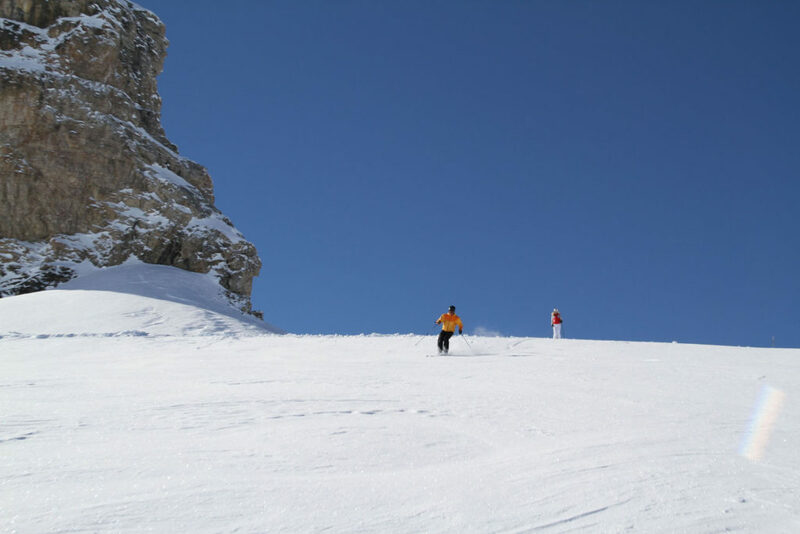 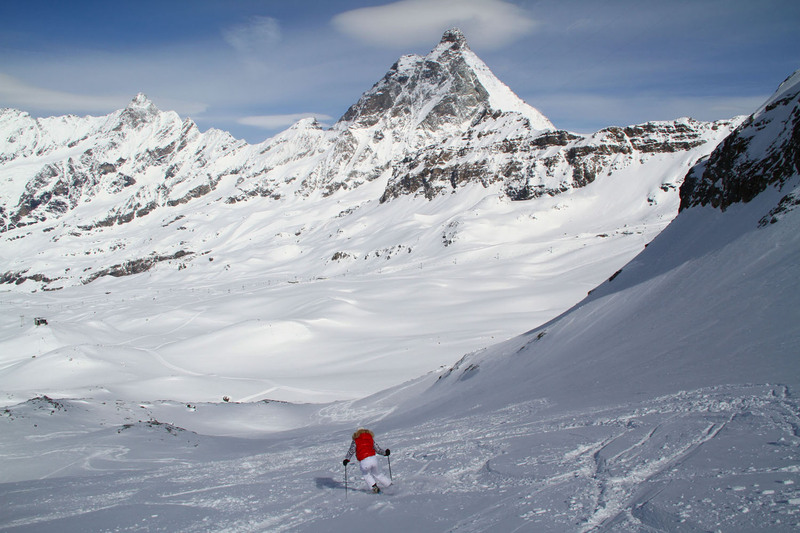 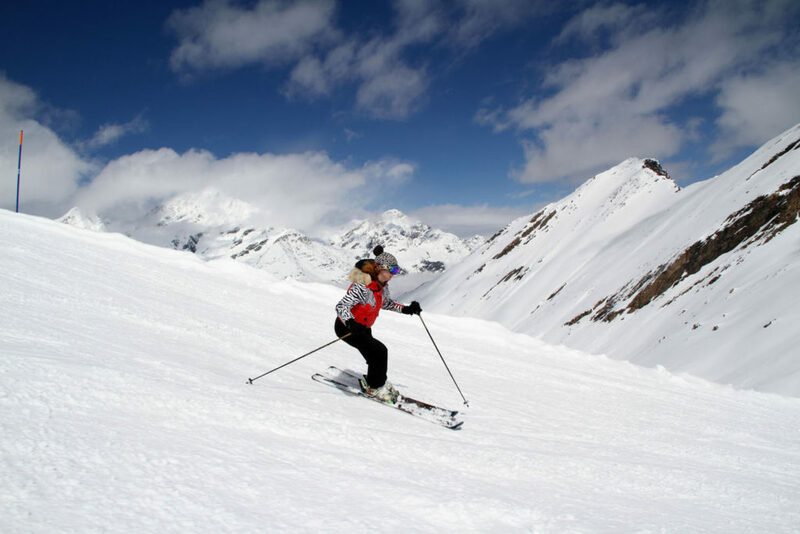 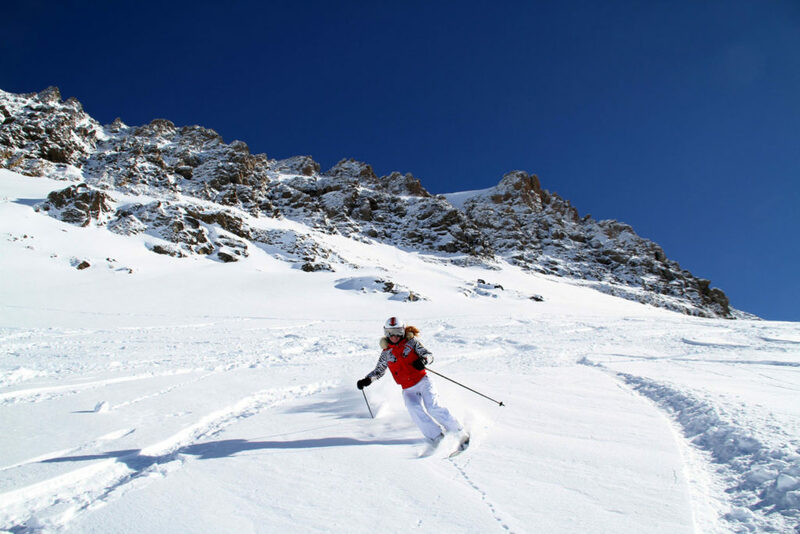 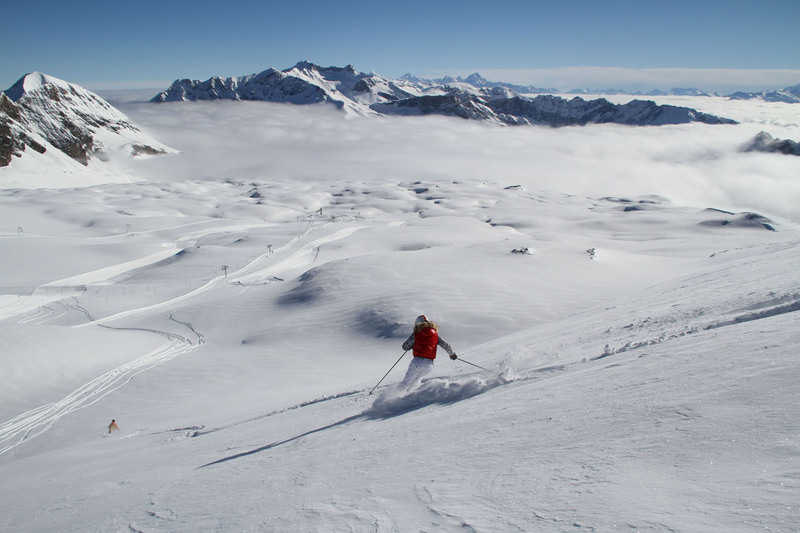 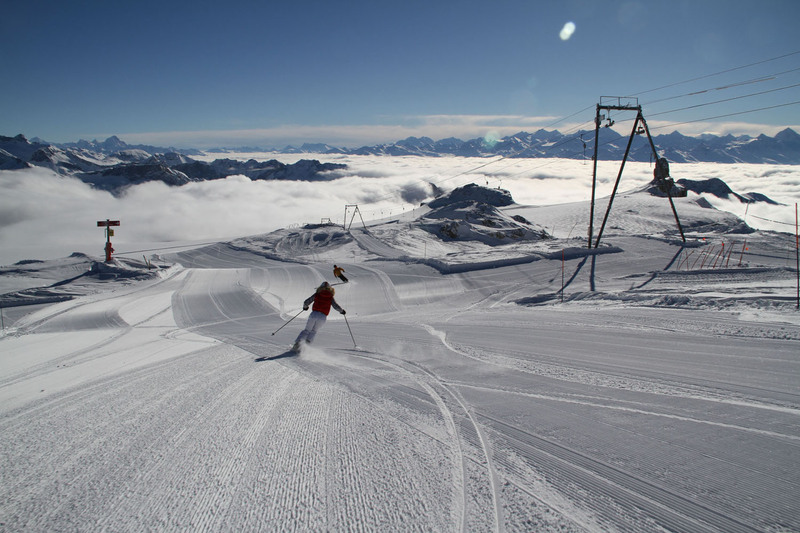 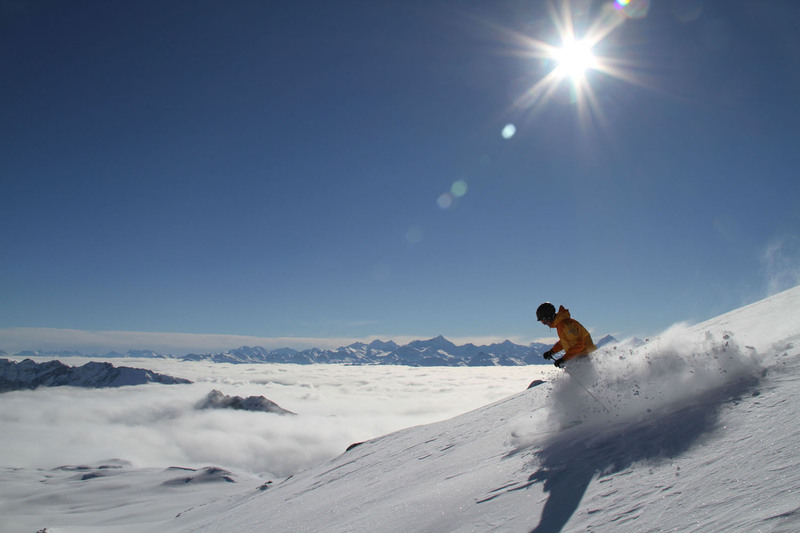 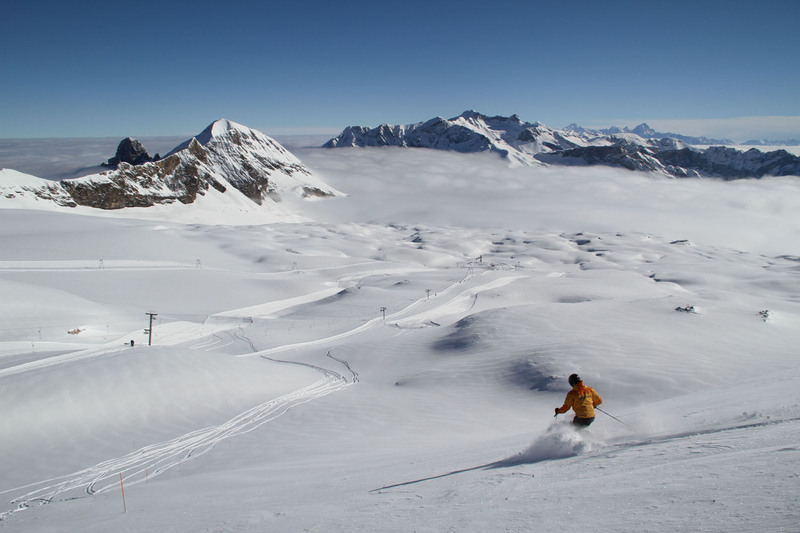 There are over 160 ski regions in the Swiss Alps. 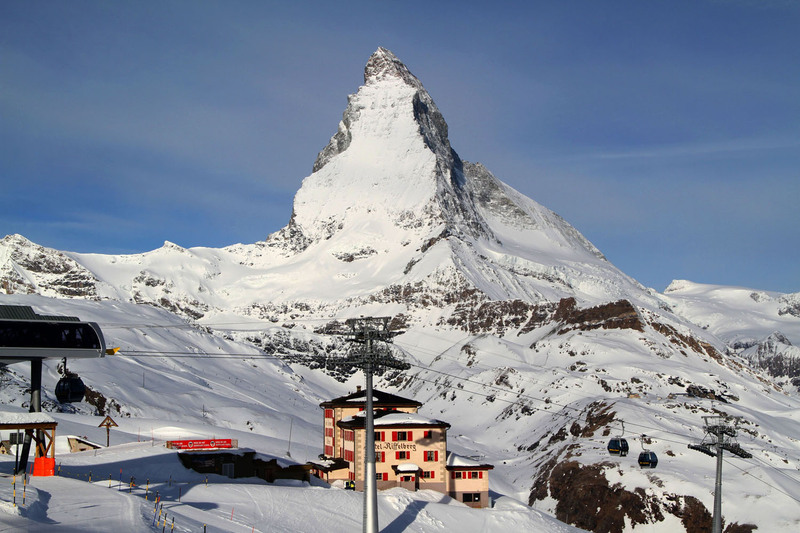 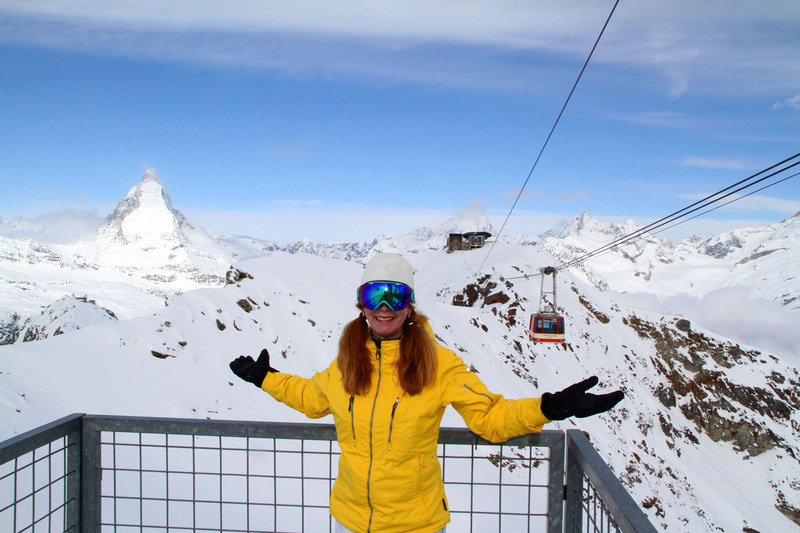 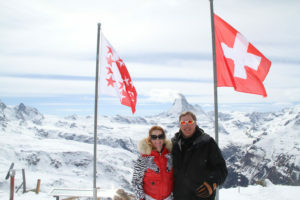 Most skiers think of Zermatt as the ultimate Swiss ski destination; reached exclusively by train (no cars allowed), with towering peaks, open snowy slopes, mountainside chalets serving Swiss fondue, and views of the magnificent Matterhorn at 14,692-feet. 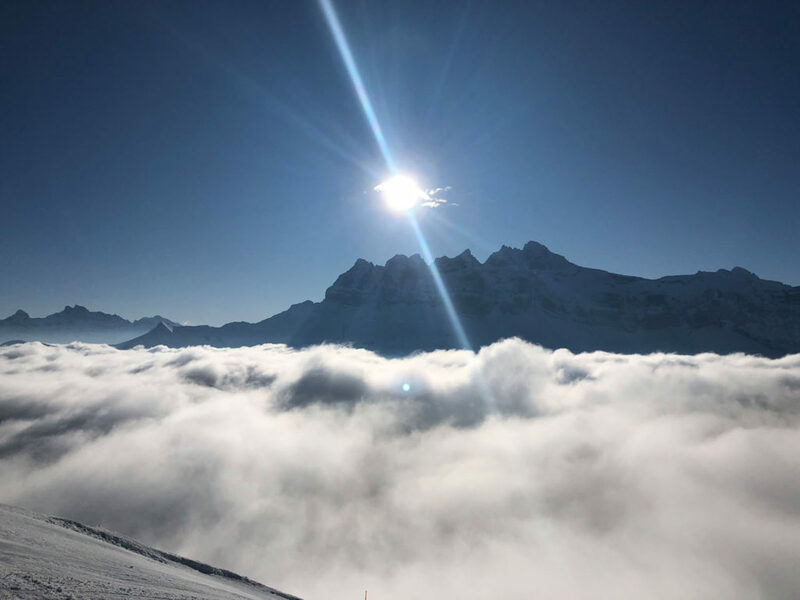 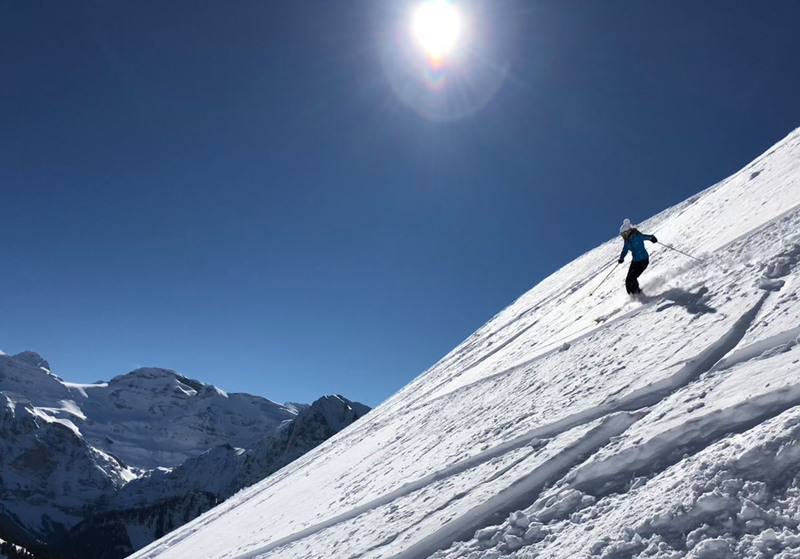 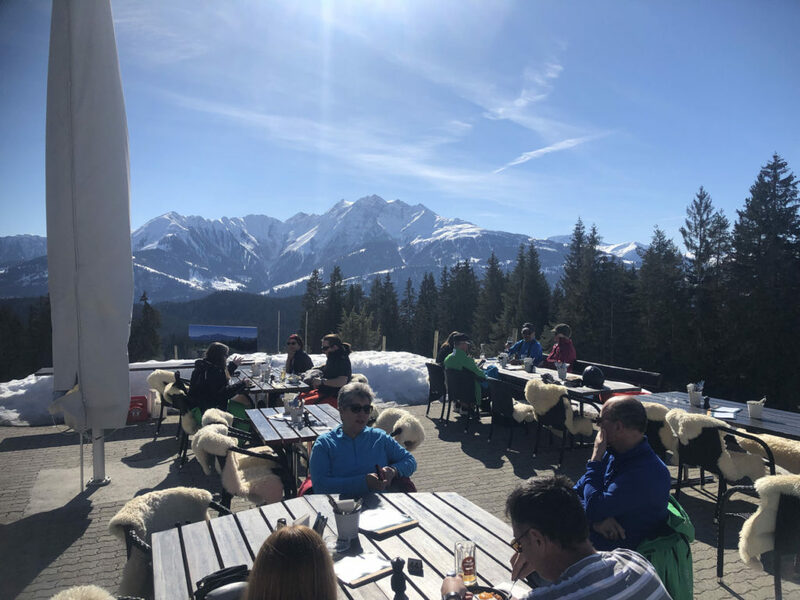 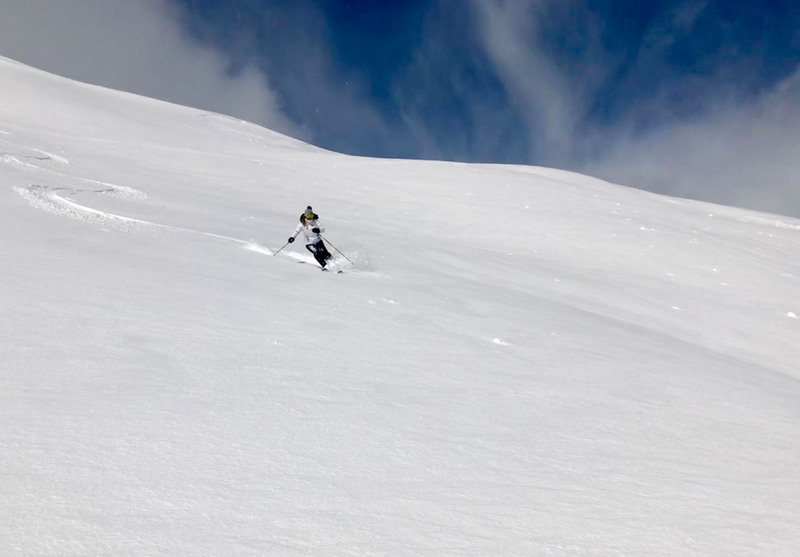 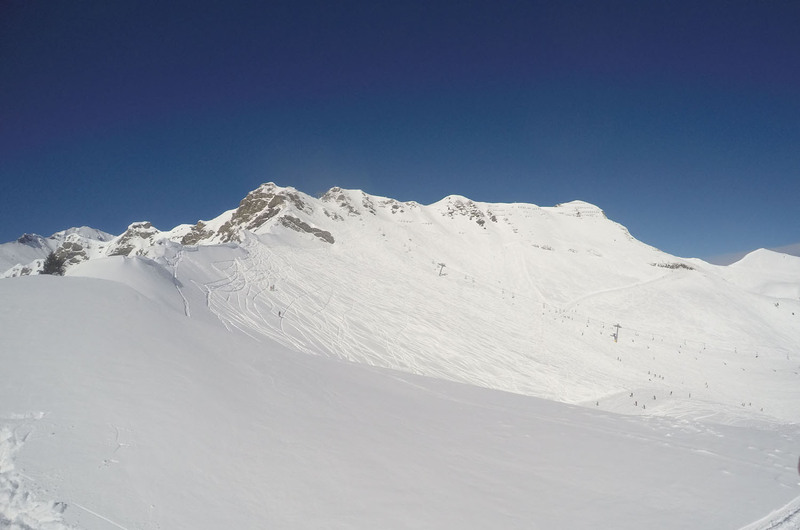 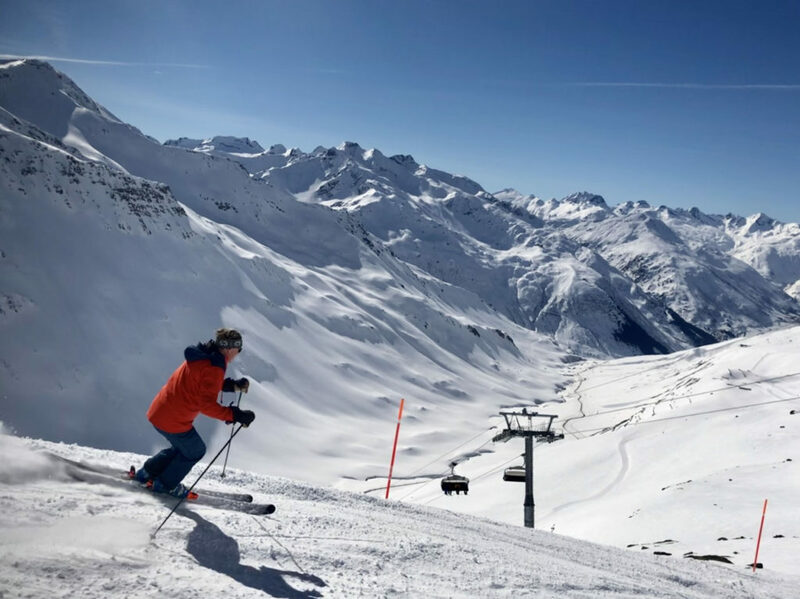 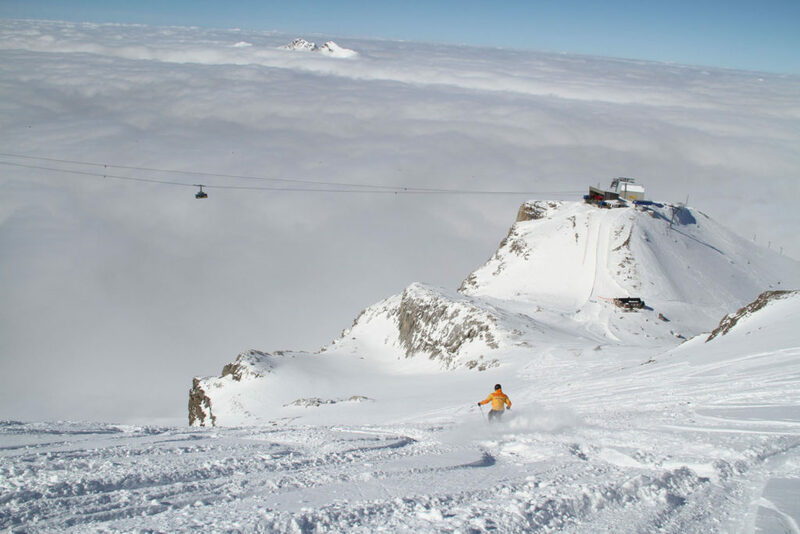 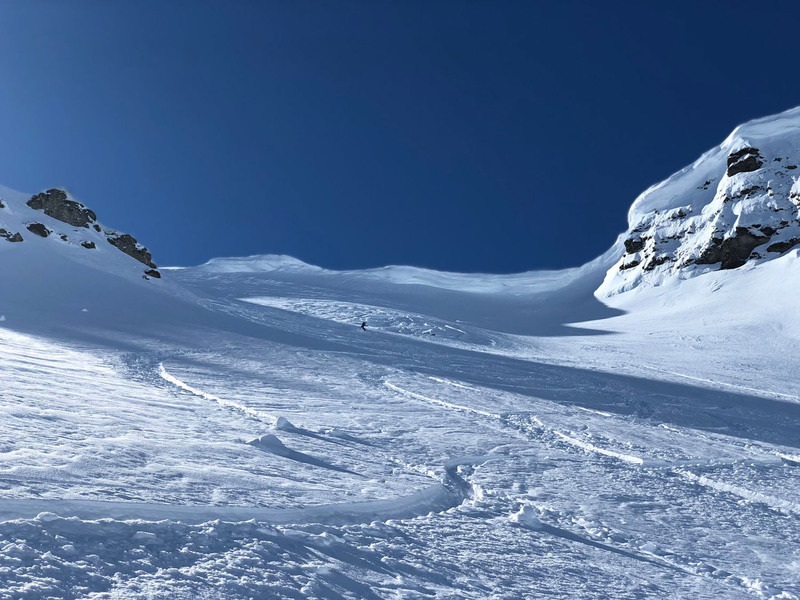 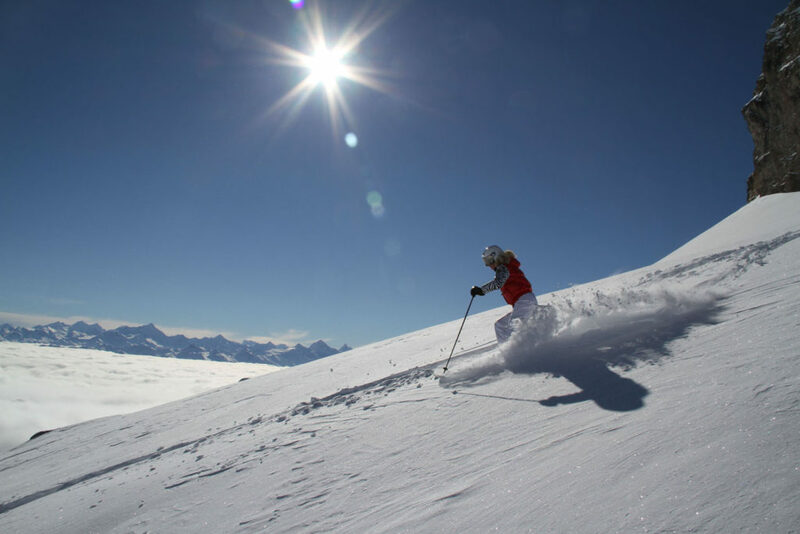 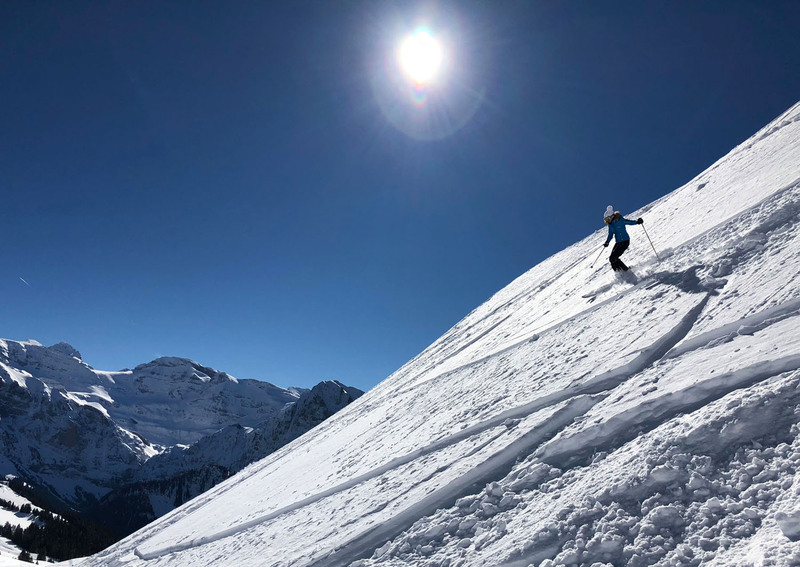 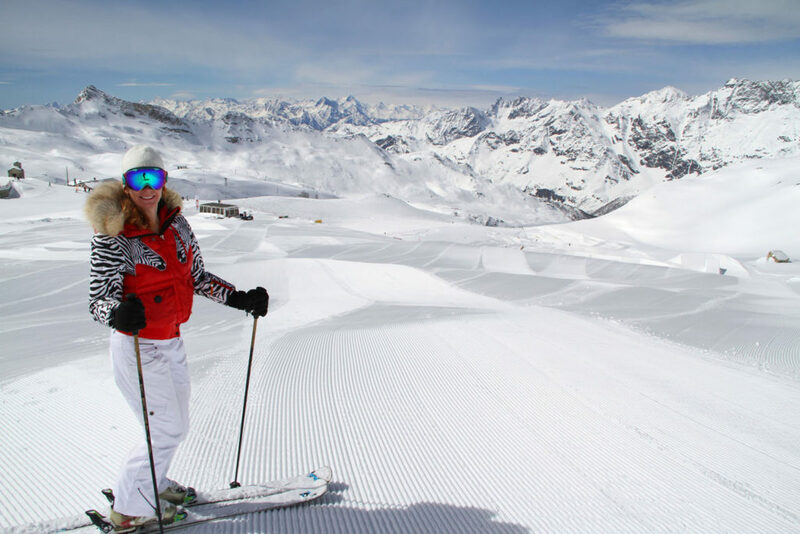 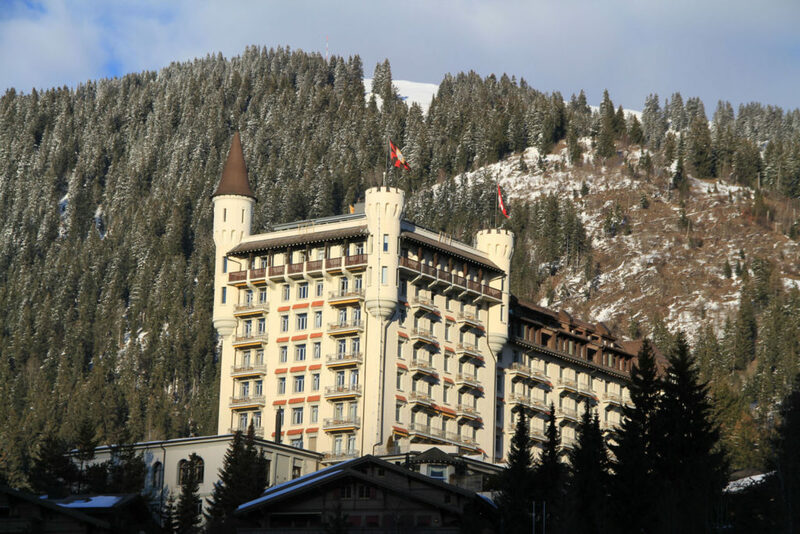 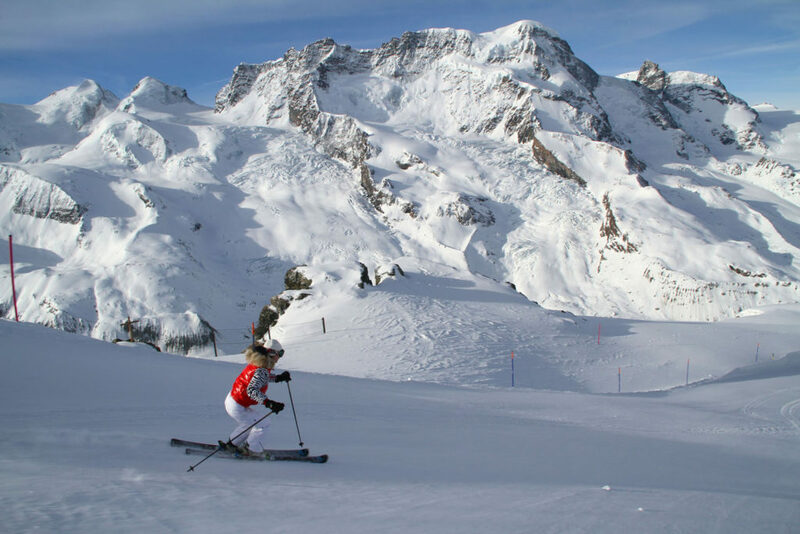 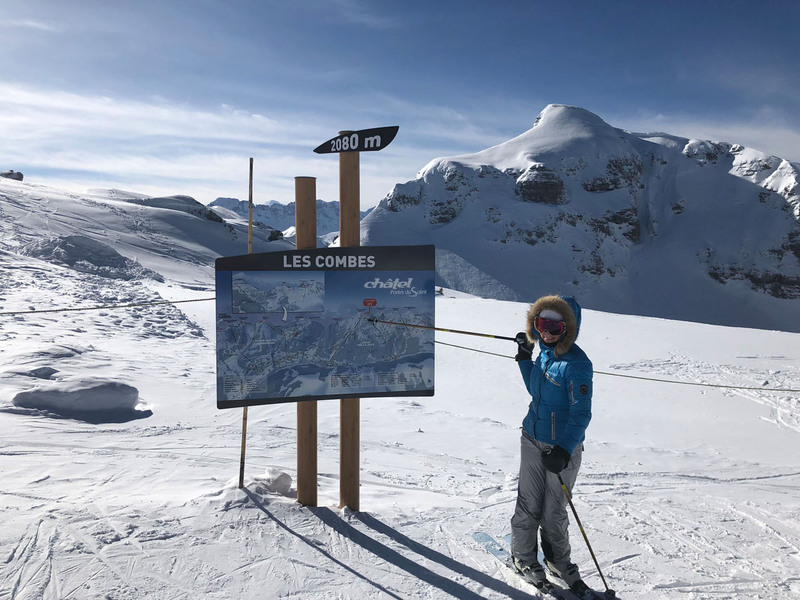 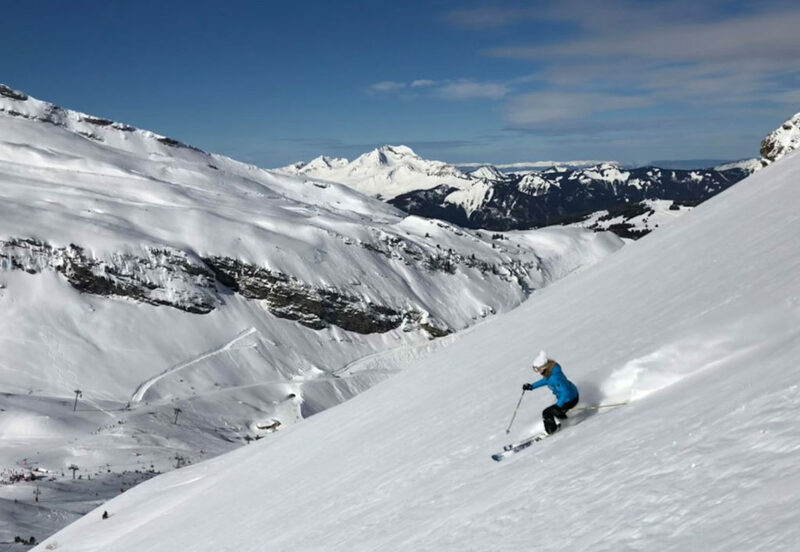 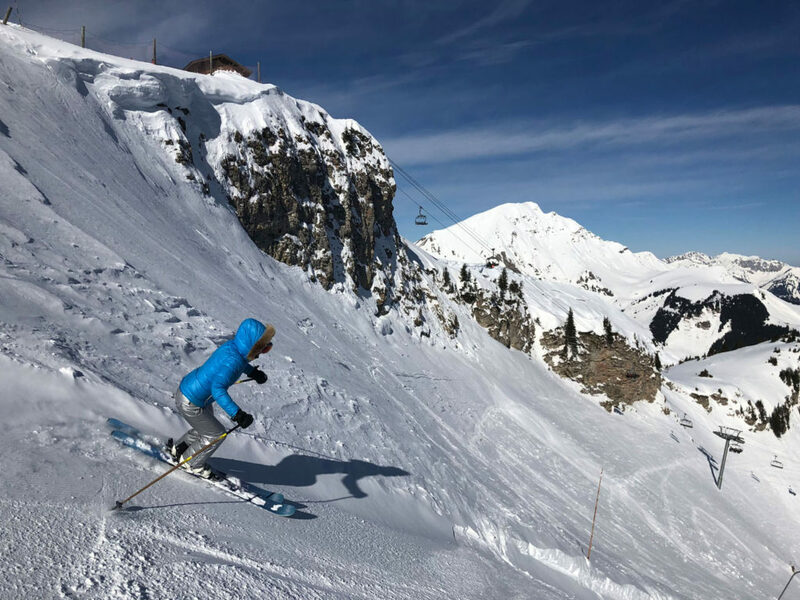 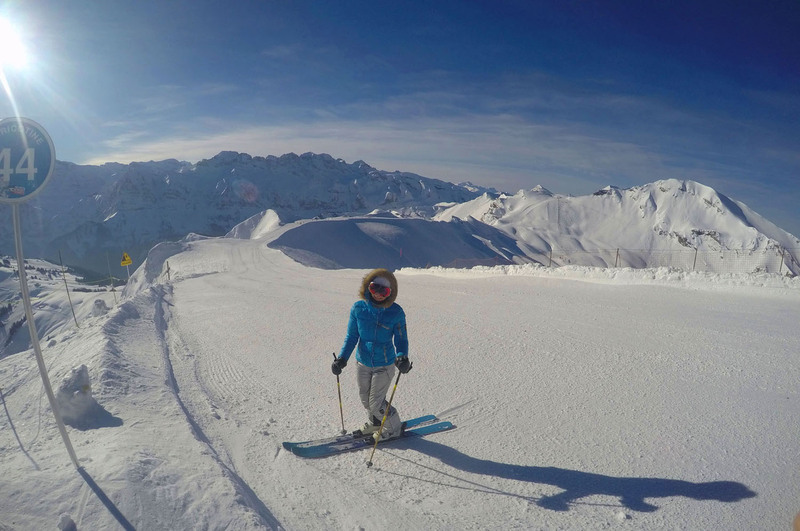 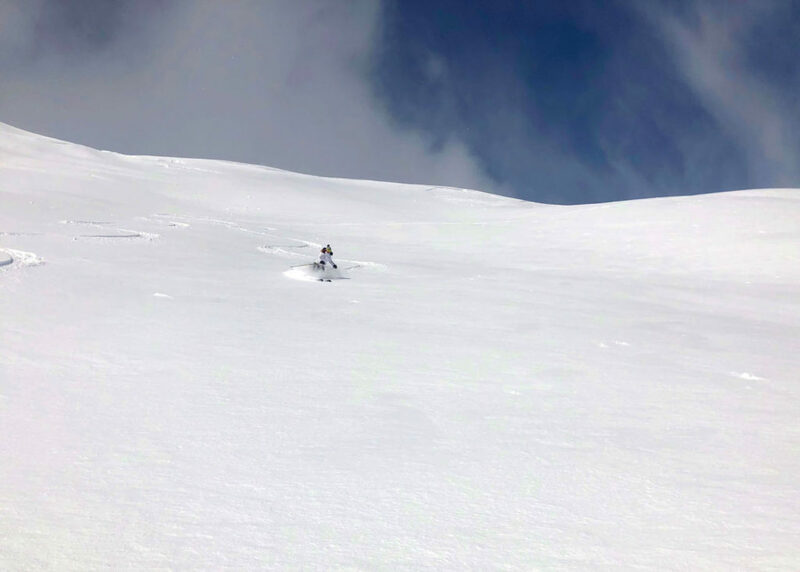 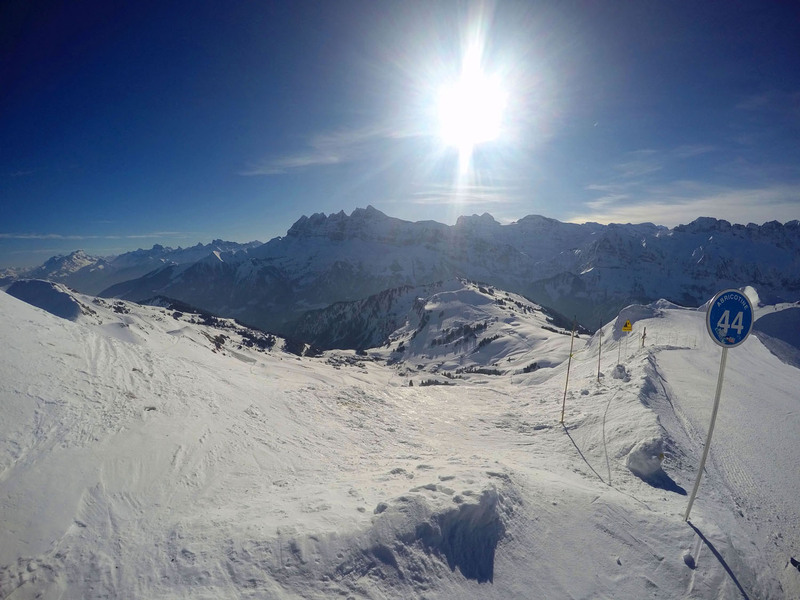 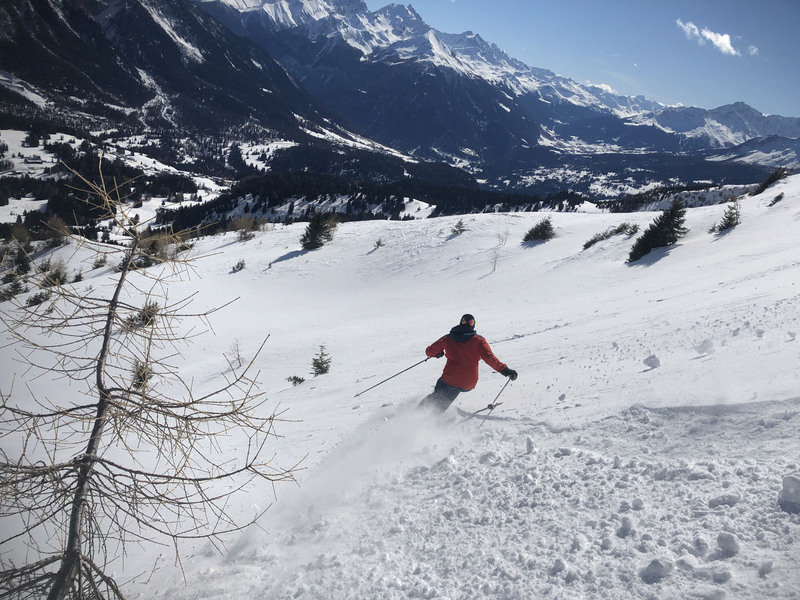 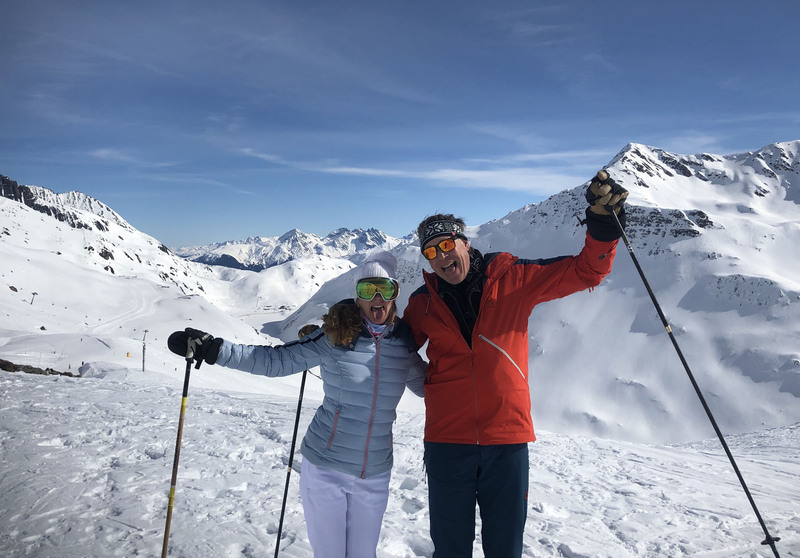 But there are so many iconic huge ski resorts in Switzerland – Verbier, Chamonix, Jungfrau, Gstaad, Saas Fee, Aletsch Arena, Engelberg, Andermatt, Laax, Arosa Lenzerheide, St Moritz, Davos… we have reviews of many of the Top Family Ski Resorts in the Swiss Alps. 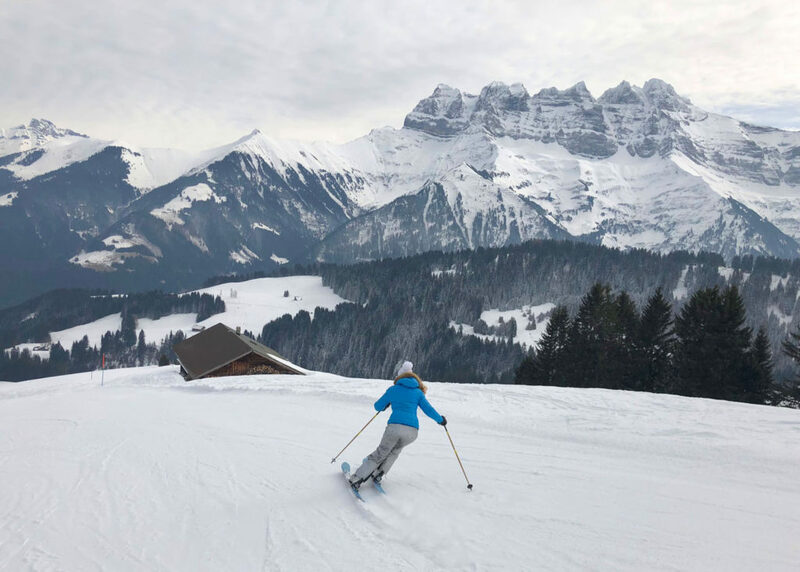 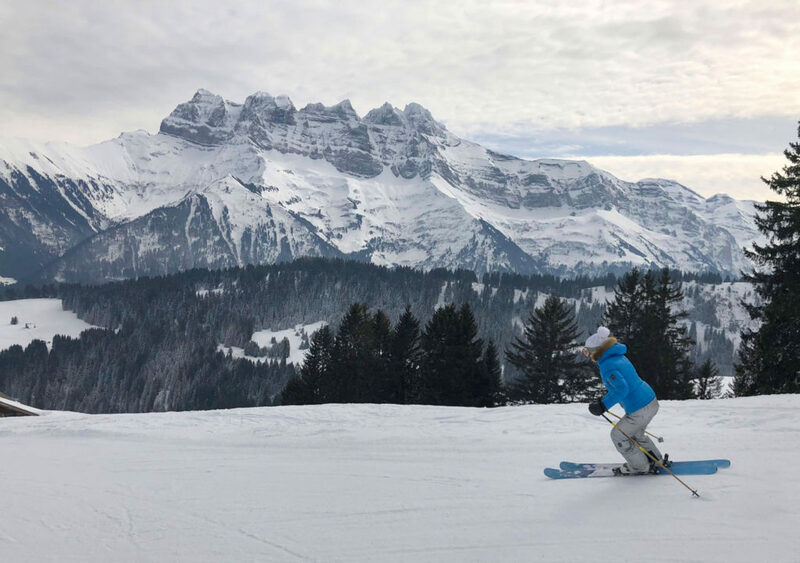 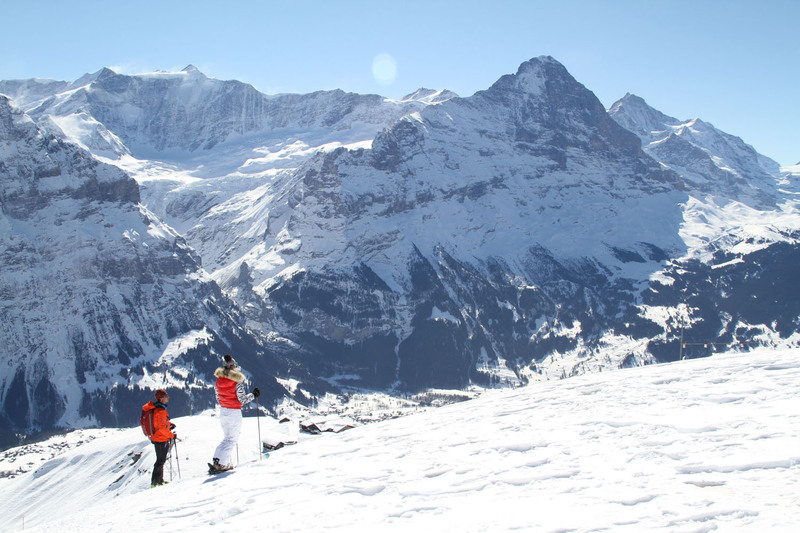 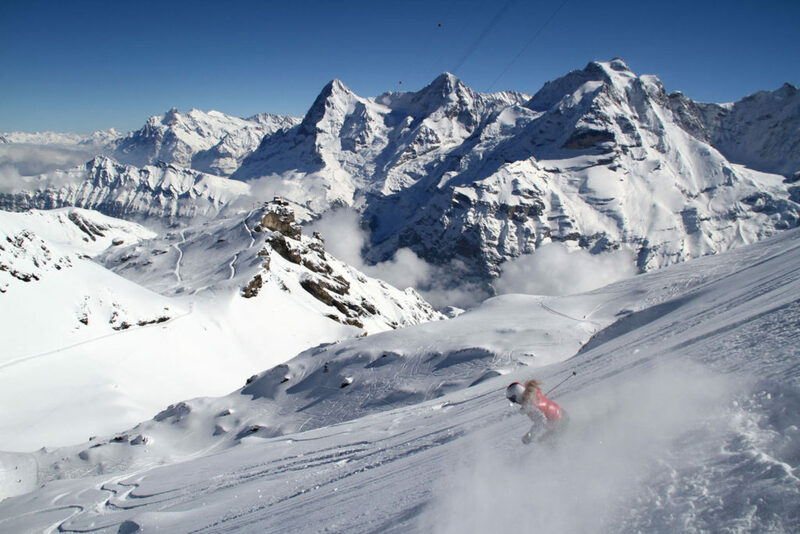 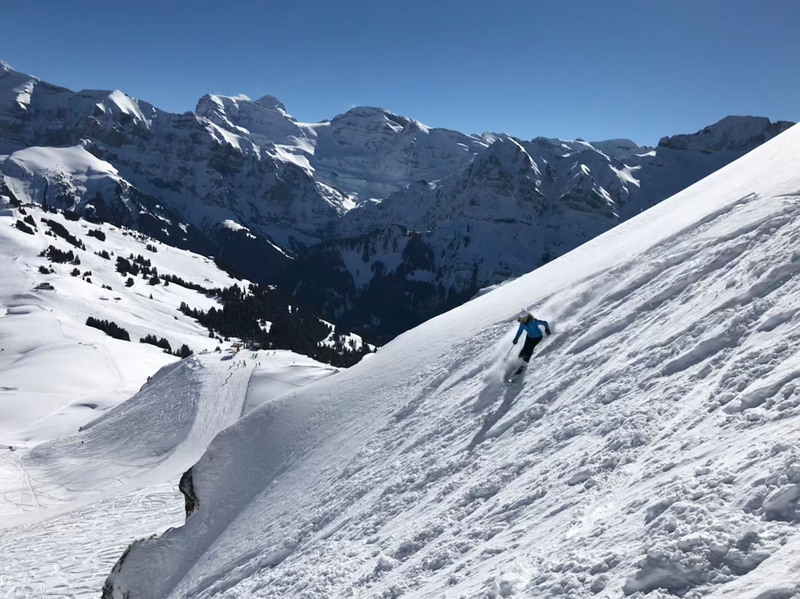 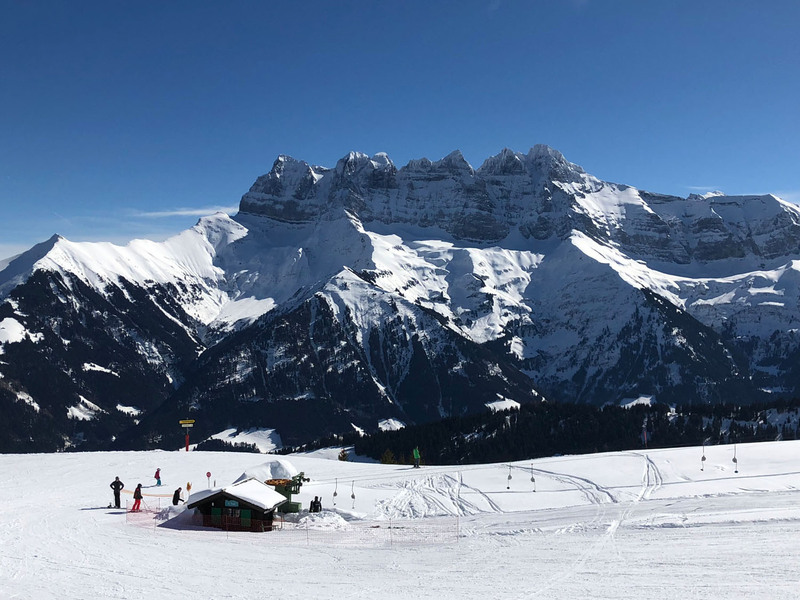 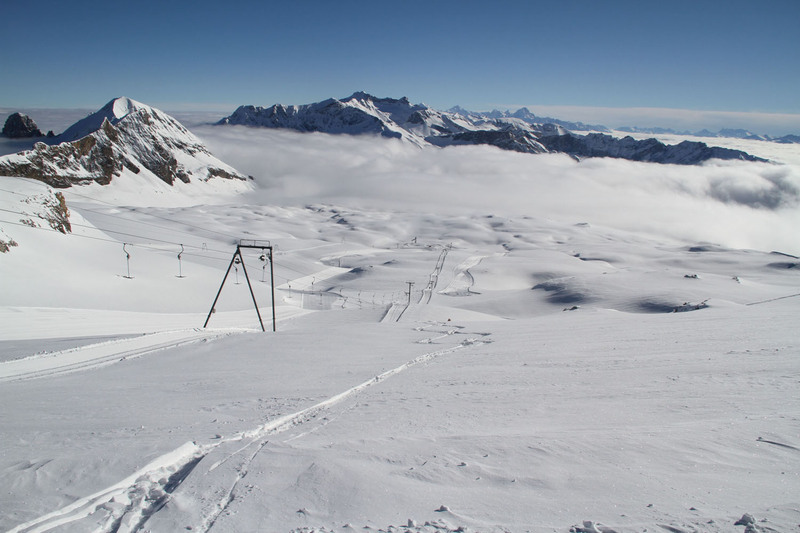 Switzerland’s Jungfrau offers grand Swiss Alps skiing for a family ski trip, from Grindelwald’s extensive terrain, to the beautiful car-free villages of Wengen and Mürren, all of which are interconnected with lift access and a regional “ski Oberland” lift ticket. 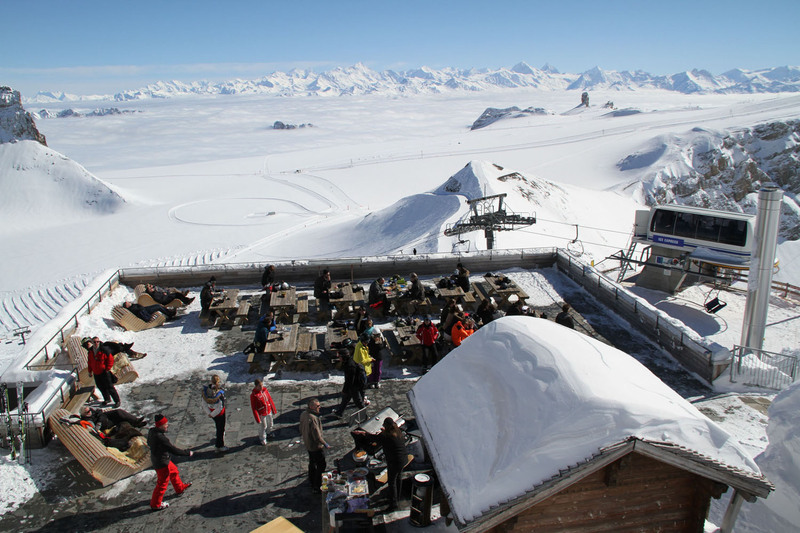 The world famous Piz Gloria, featured in a James Bond film, at Schilthorn Mountain’s 9,744’ summit offers panoramic dining serviced by cable cars. 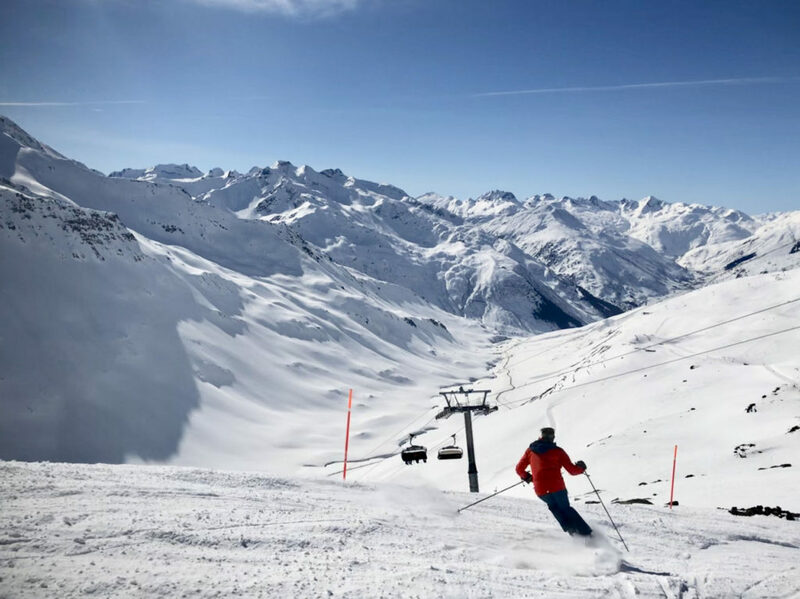 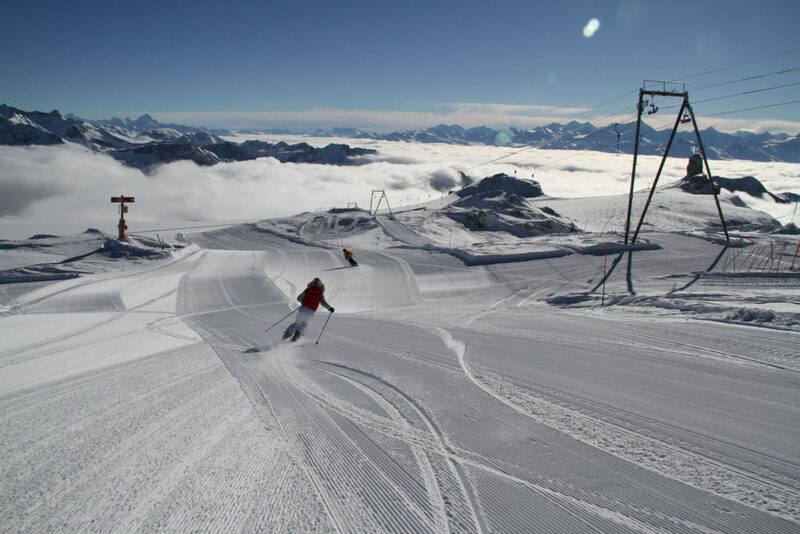 You can ski at Aletsch Arena near Aletsch Glacier and Belalp with magnificent distance views of the Matterhorn, and other amazing alpine peaks, and three delightful ski villages at the base of these ski slopes – Bettmeralp and Riederalp are fantastic for families. 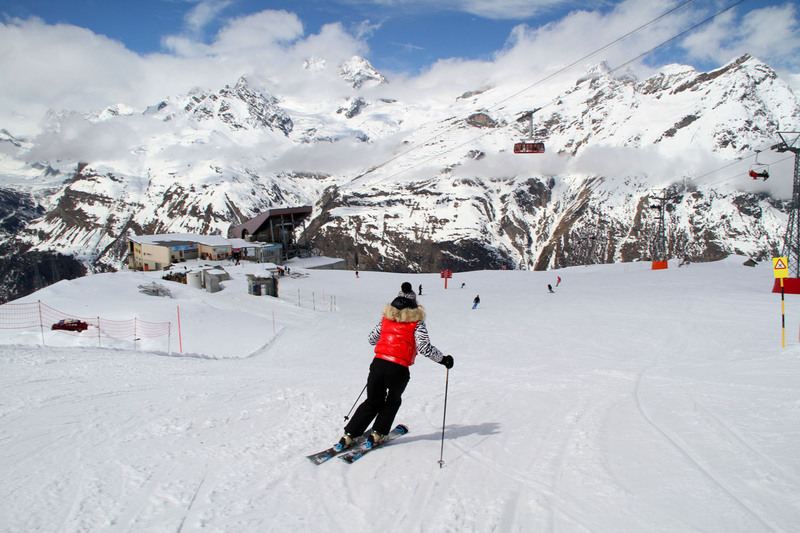 Saas Fee is another Swiss gem near Zermatt, maybe the best kept secret of the Swiss Alps, especially family friendly with a traditional car-free ski village and ski slopes surrounded by beautiful blue glaciers. 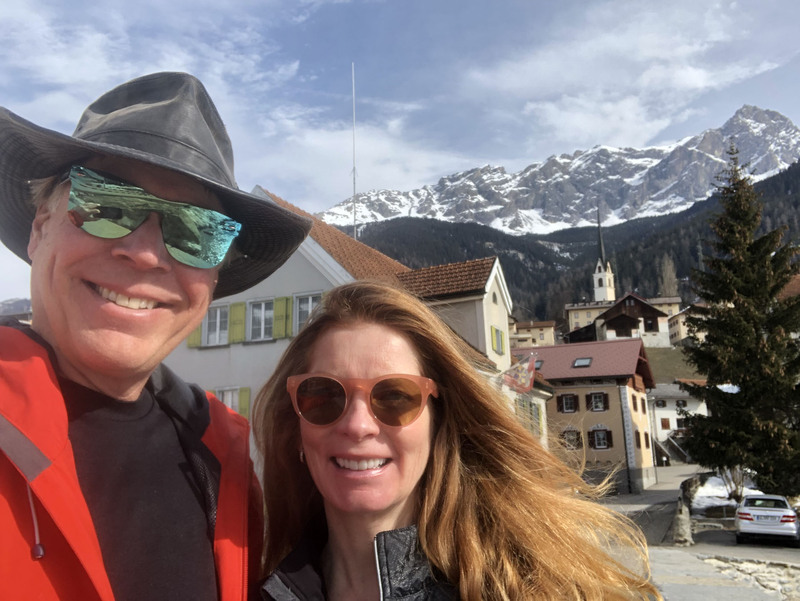 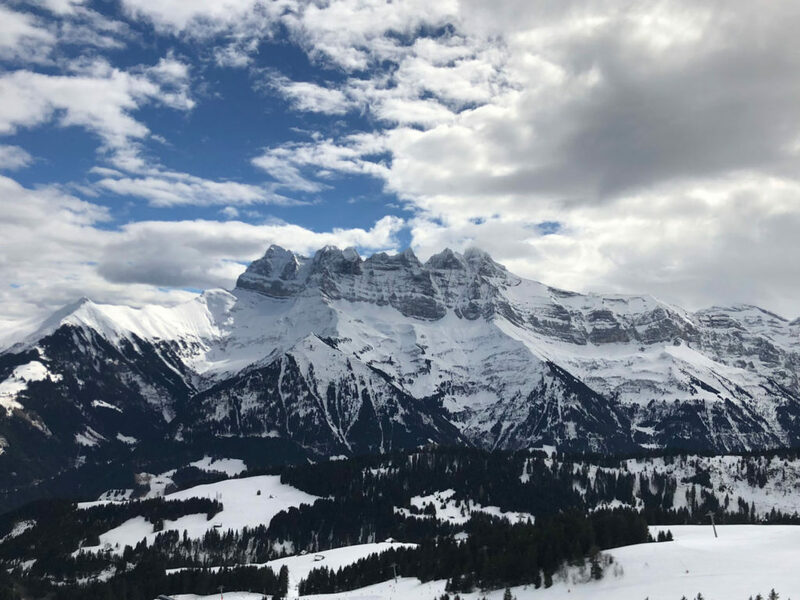 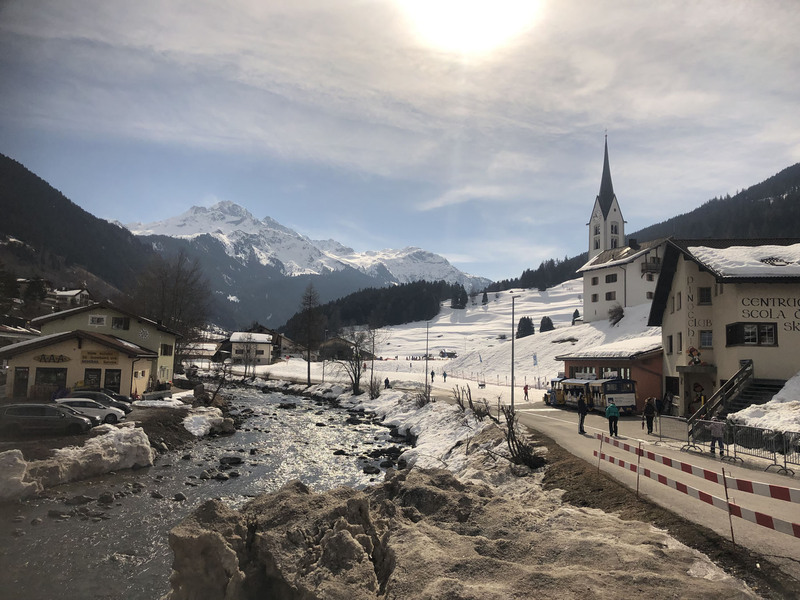 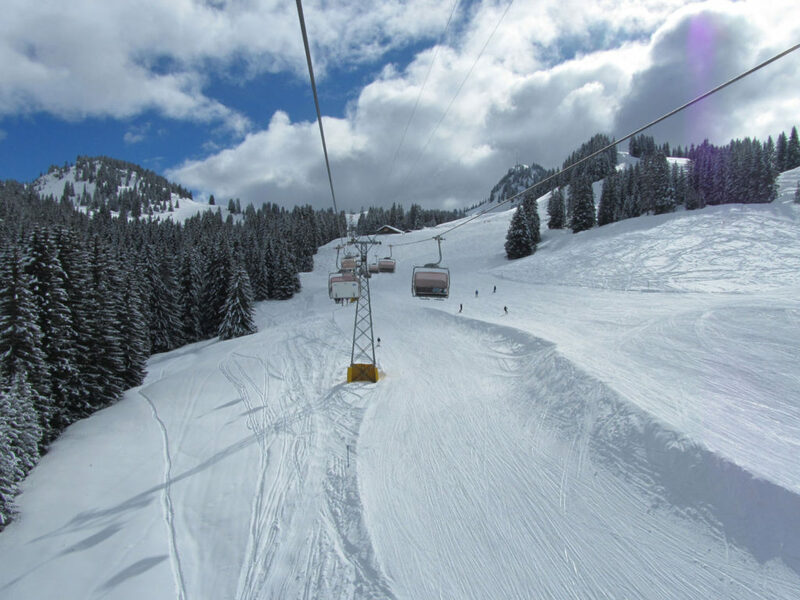 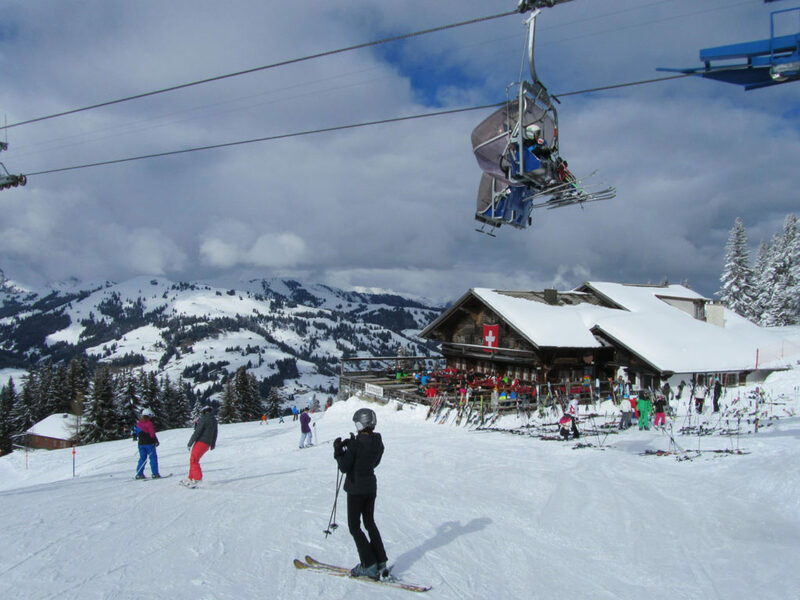 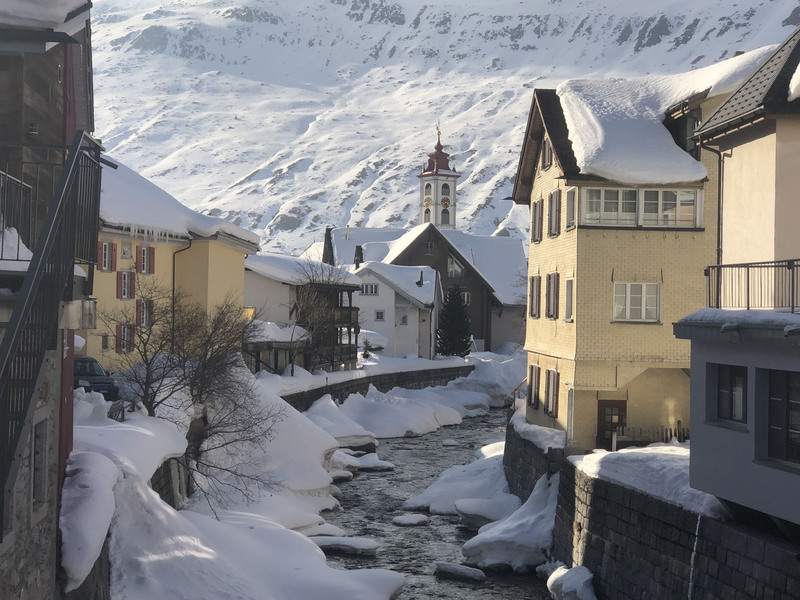 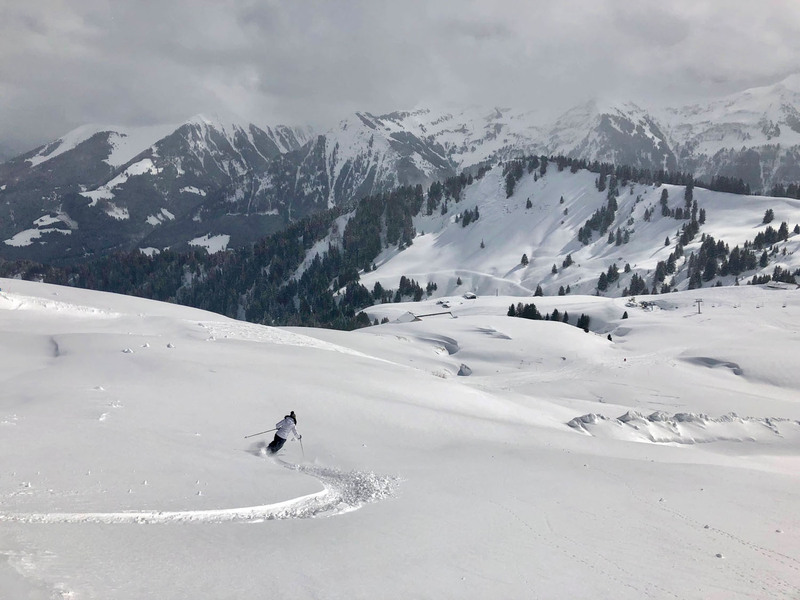 Gstaad, Adelboden, Haslital, and Engelberg are other legendary family ski resorts in Switzerland, postcard perfect villages lead to vast ski terrain, very popular with the well-to-do European families and celebrities. 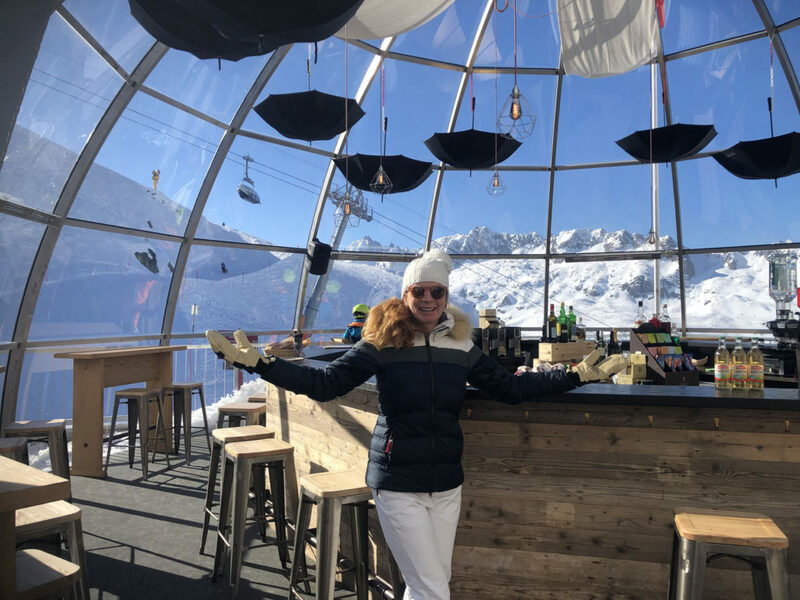 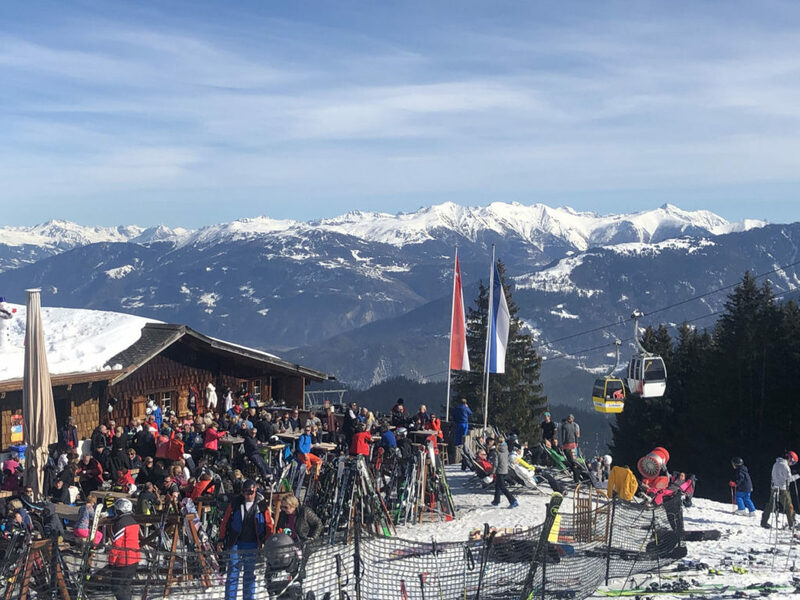 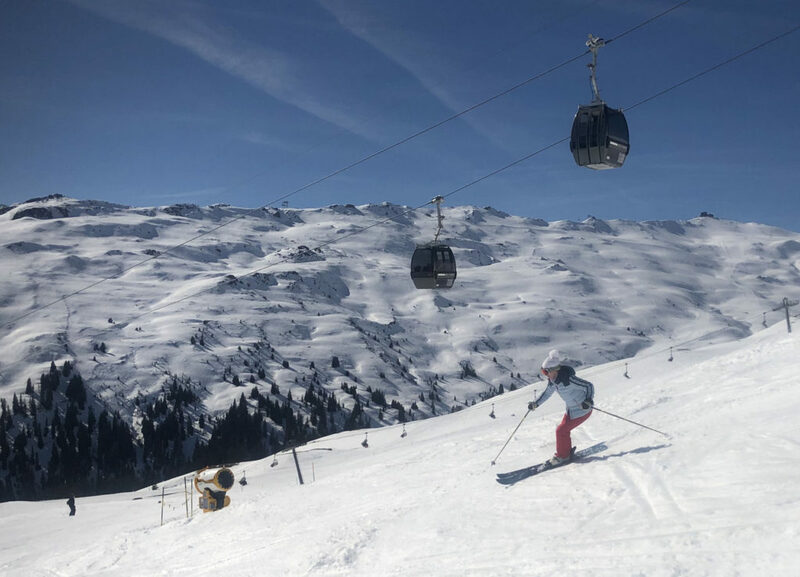 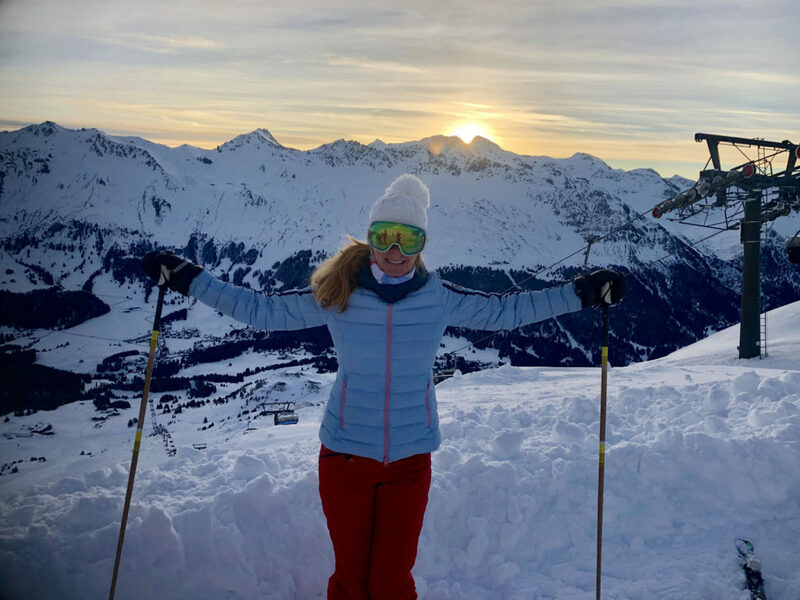 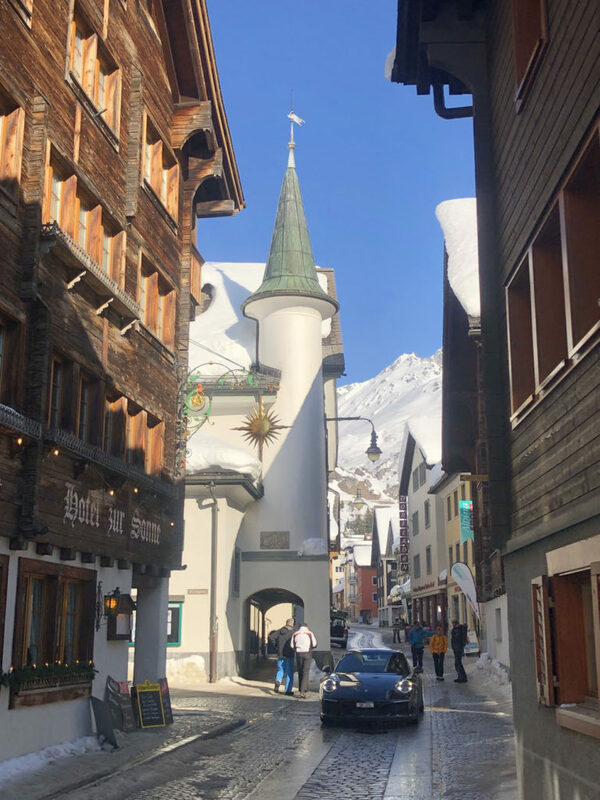 Verbier is a vibrant Swiss French ski village with top hotels and restaurants, and some very steep terrain off Mont Fort and Mont Gelee, amazing scenery including Mont Blanc and the Matterhorn in the distance, plus extensive snow parks and kids ski school programs. 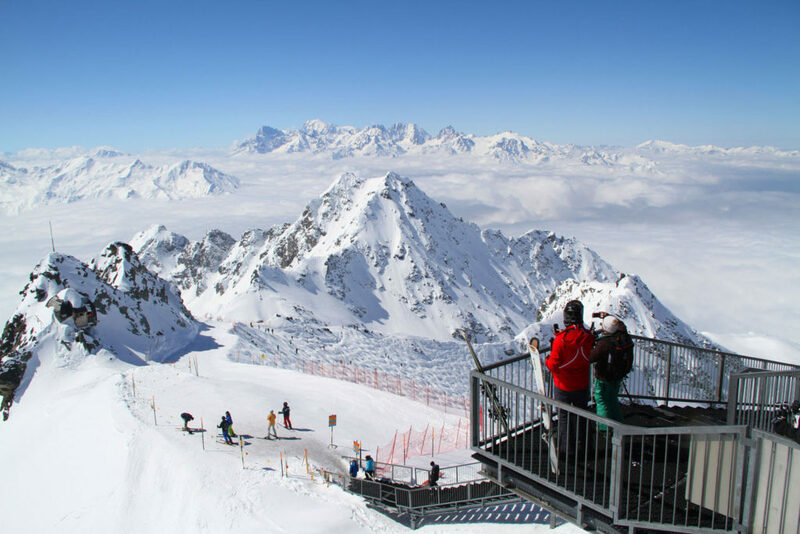 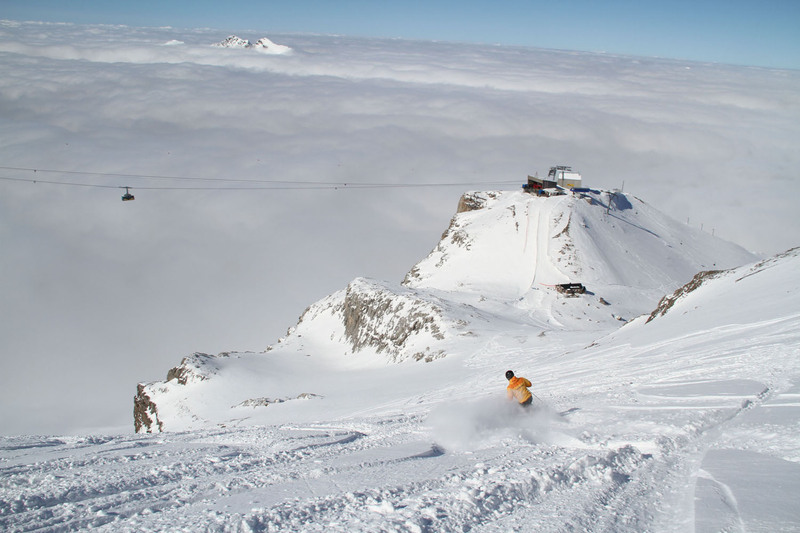 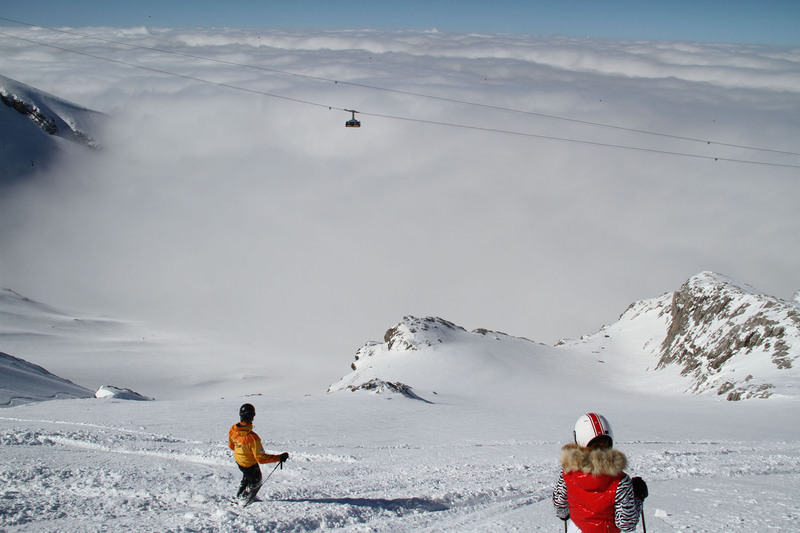 Verbier is part of Switzerland’s vast 4 Vallées. Dents du Midi is the Swiss side of the vast Portes du Soleil ski region including the Swiss ski villages of Champery, Les Crosets, Champoussin and Morgins. 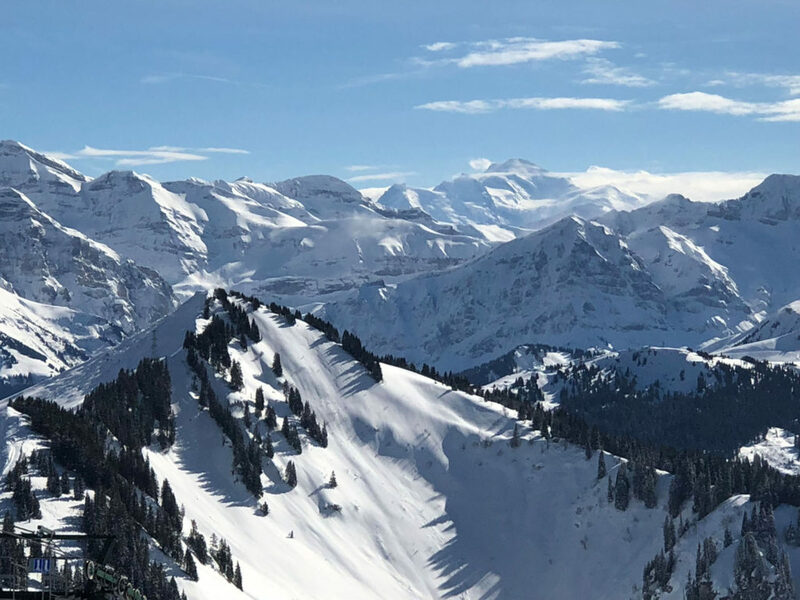 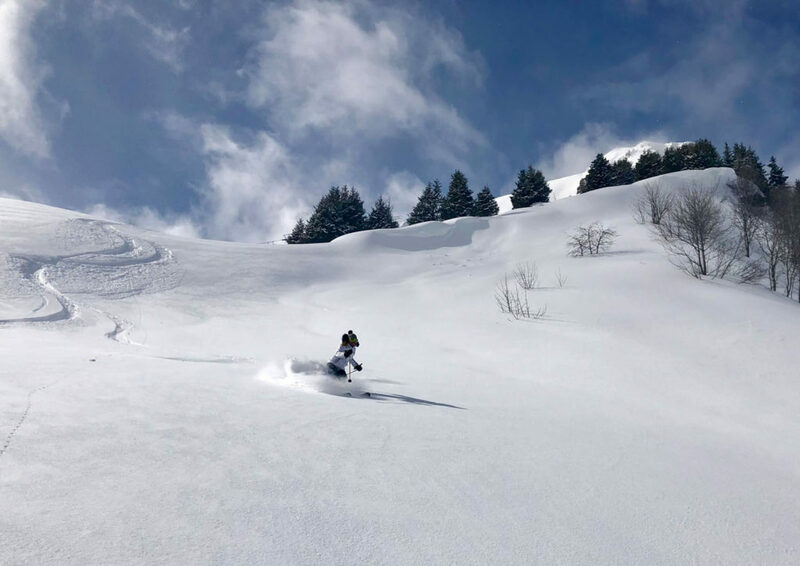 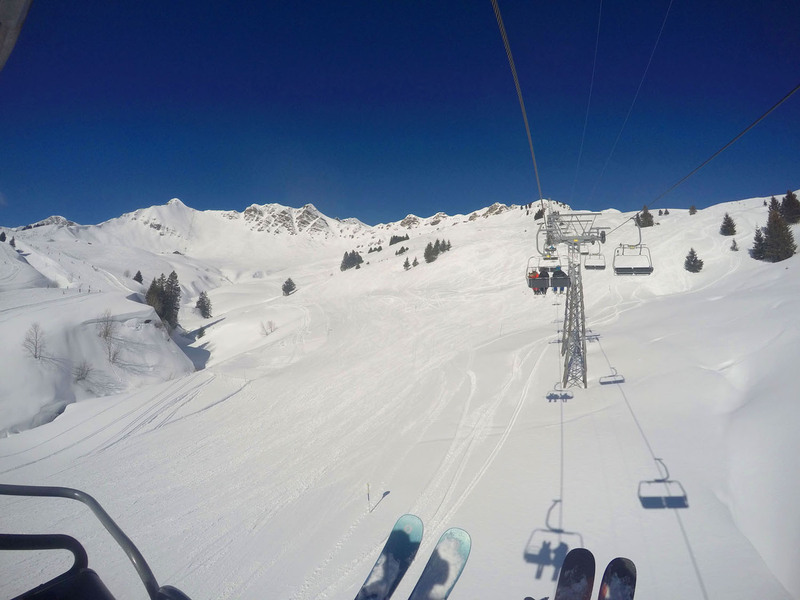 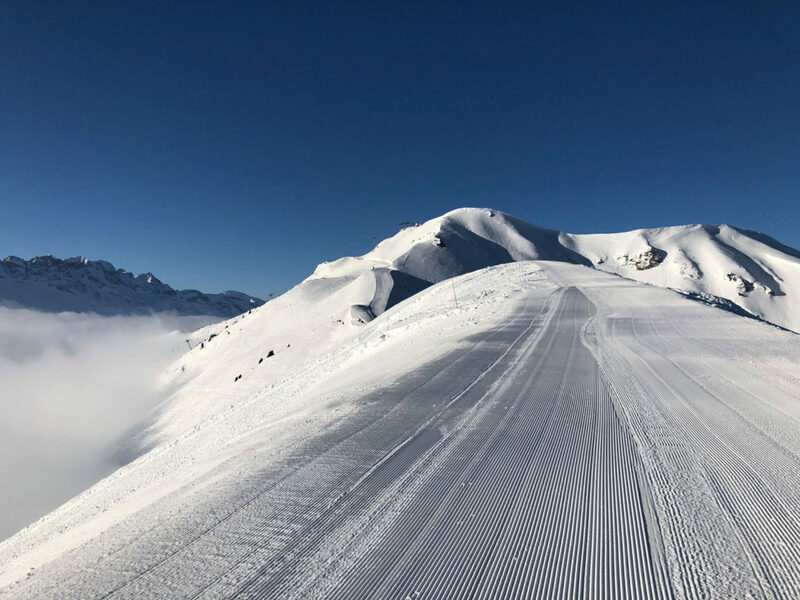 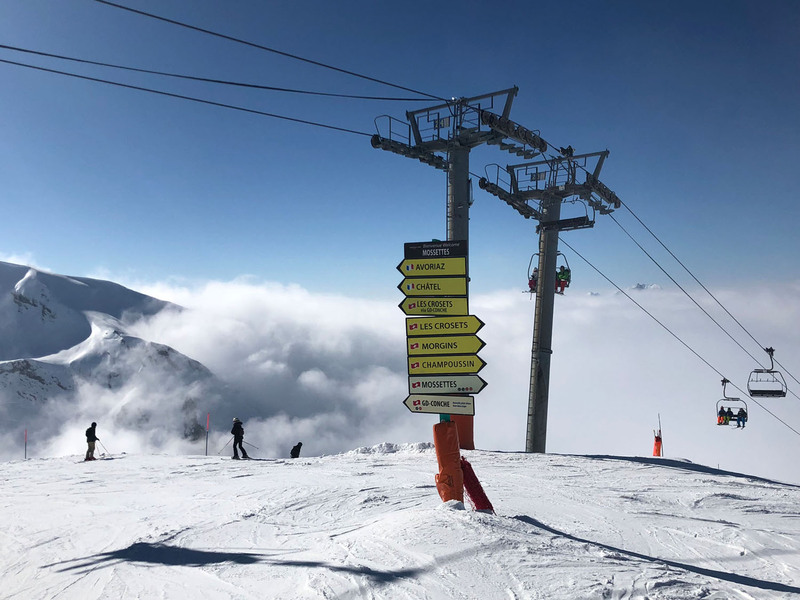 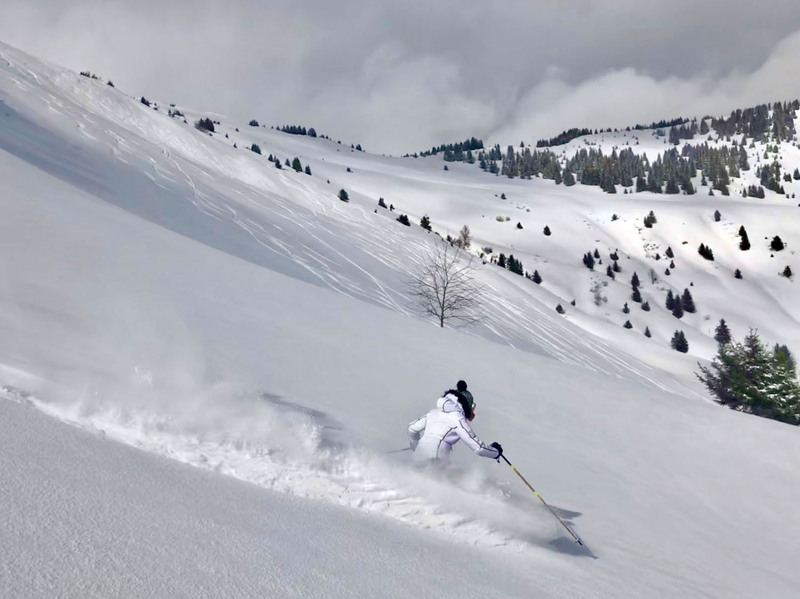 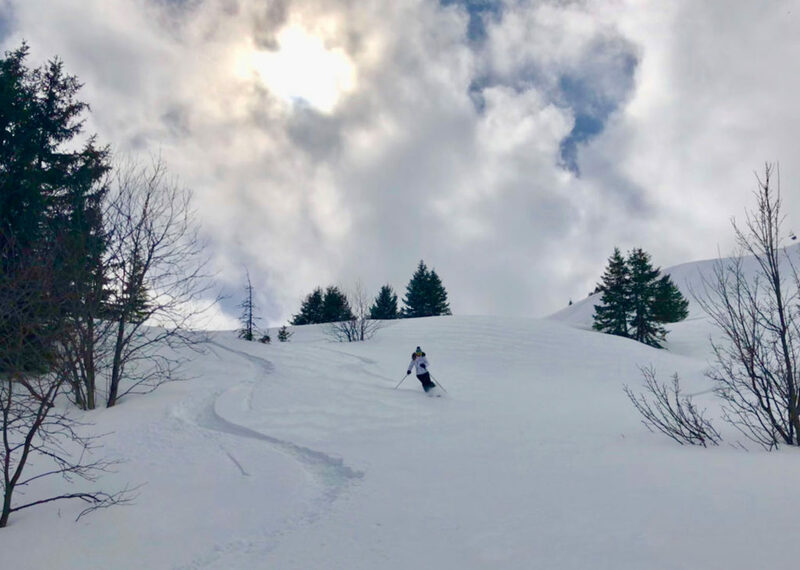 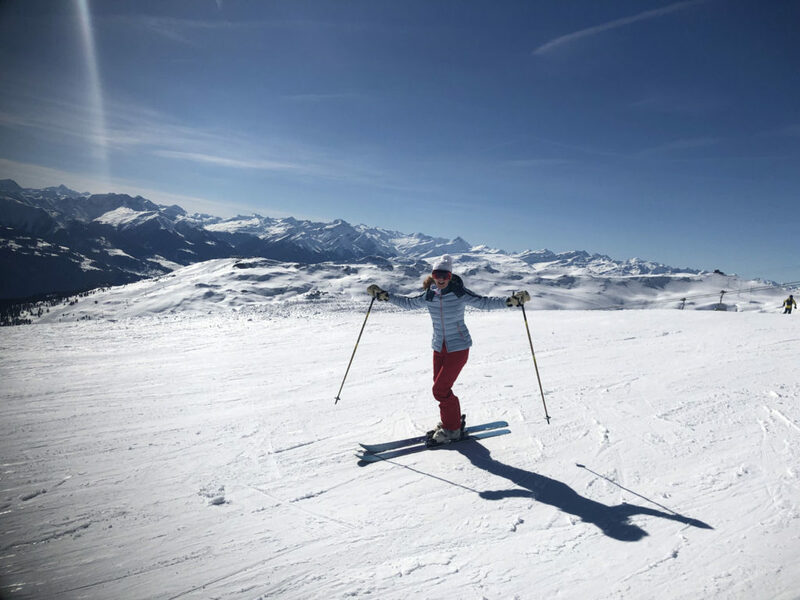 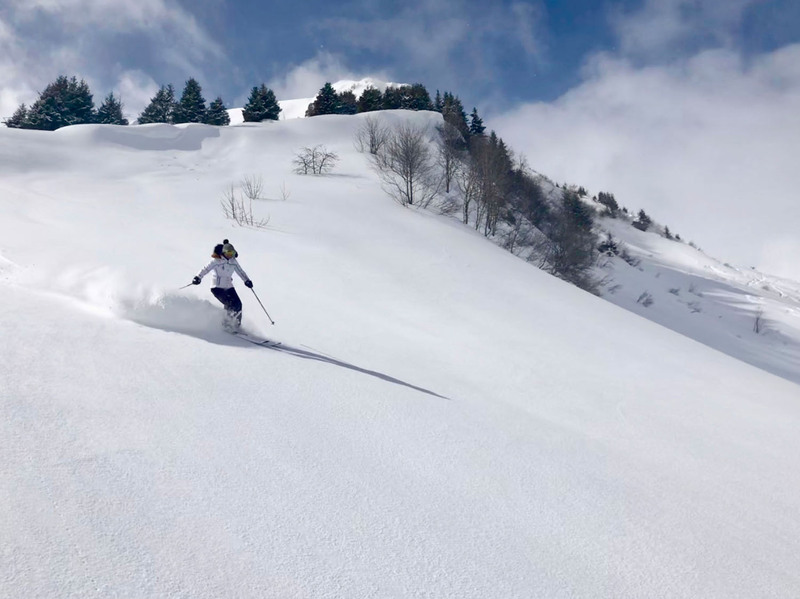 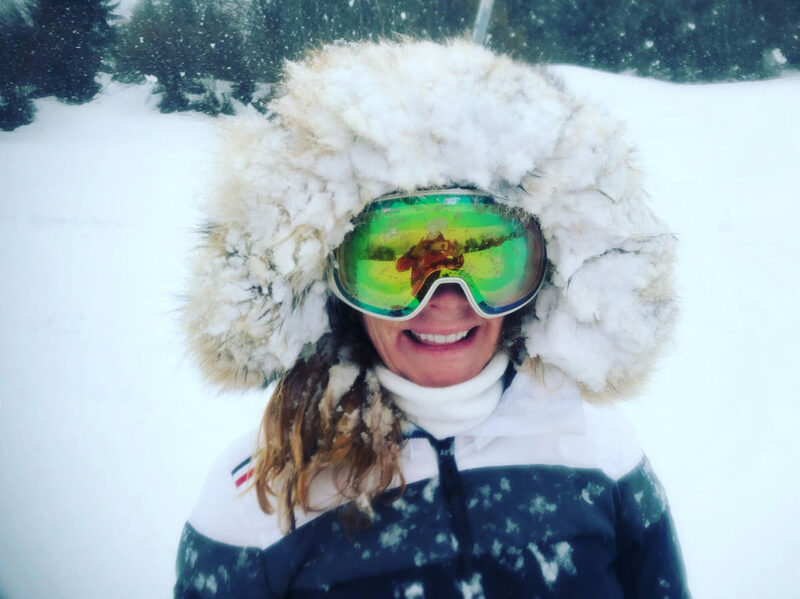 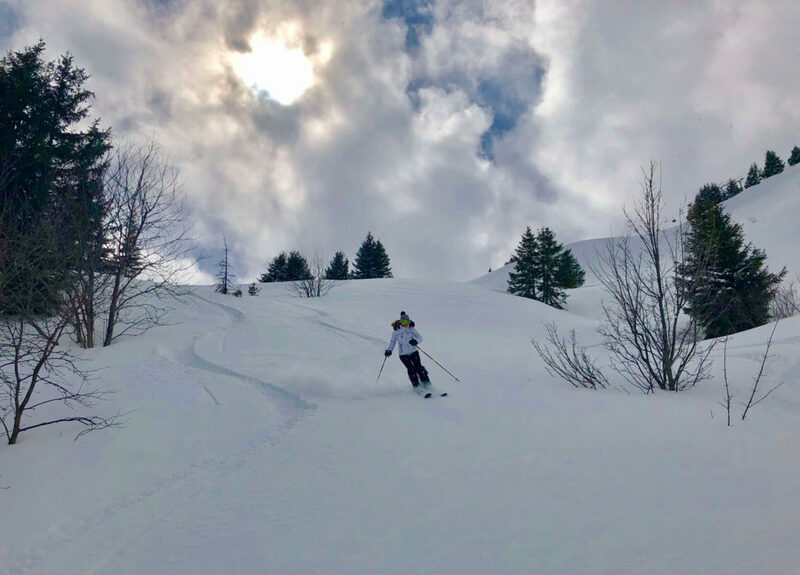 This is the largest international ski resort in the world allowing you to ski between Switzerland and France and second in size only the the Les Trois Vallées Ski Region of France. Arosa Lenzerheide is classic alpine resort, with so many aspects and three unique ski areas surrounding a lake. 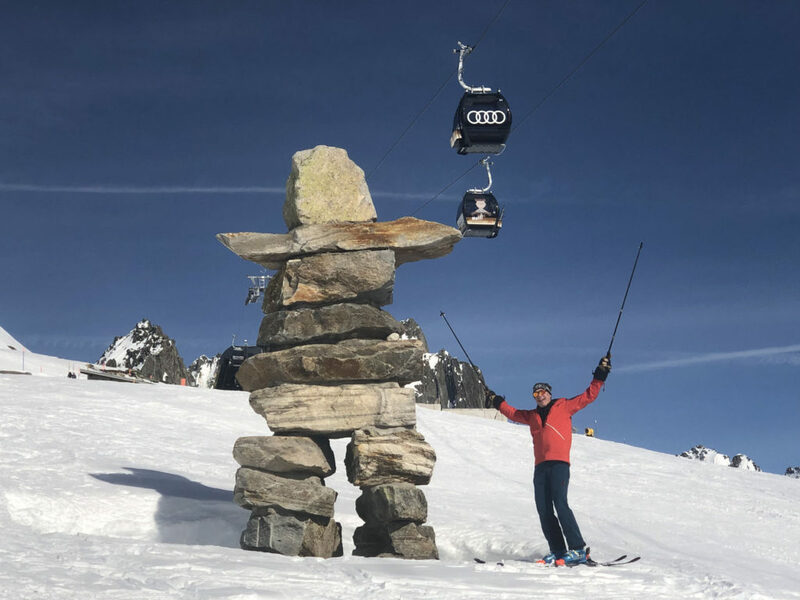 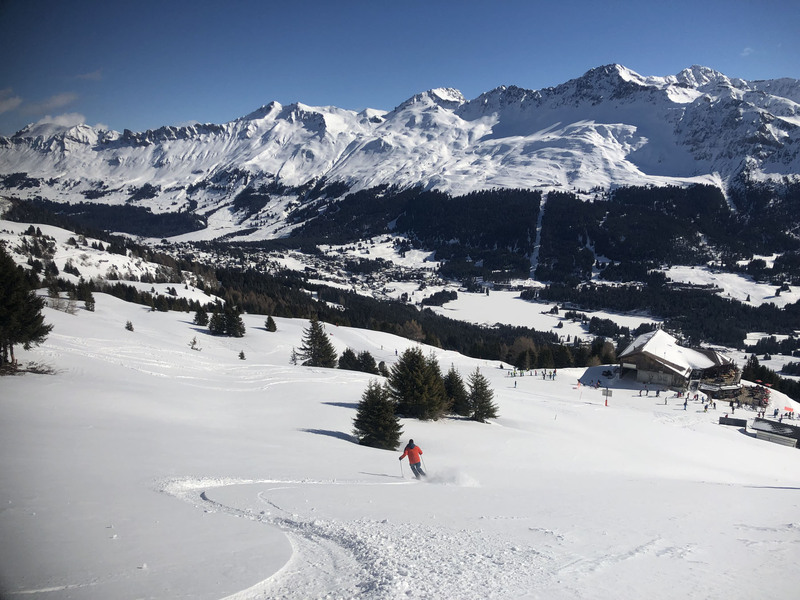 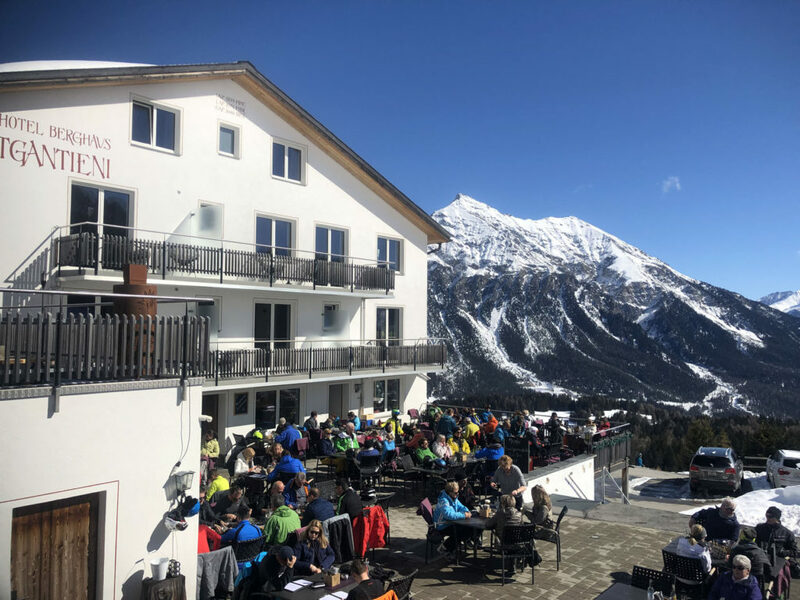 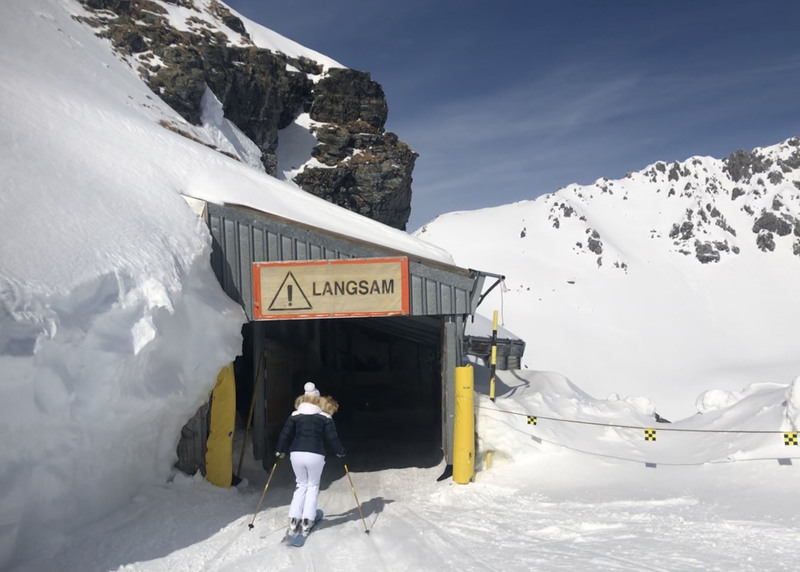 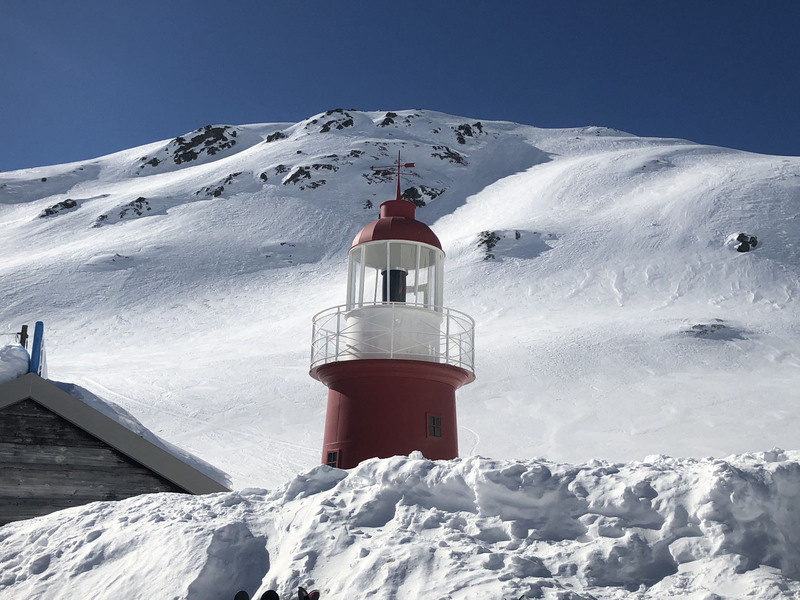 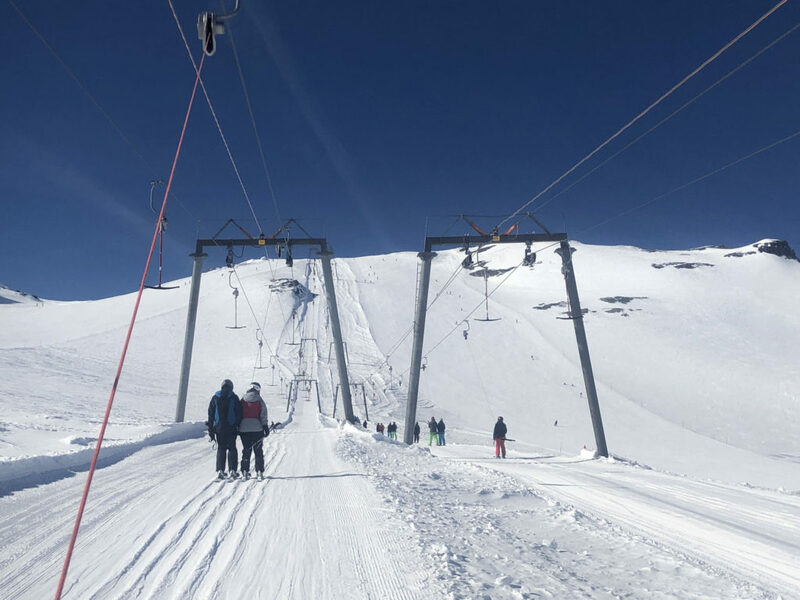 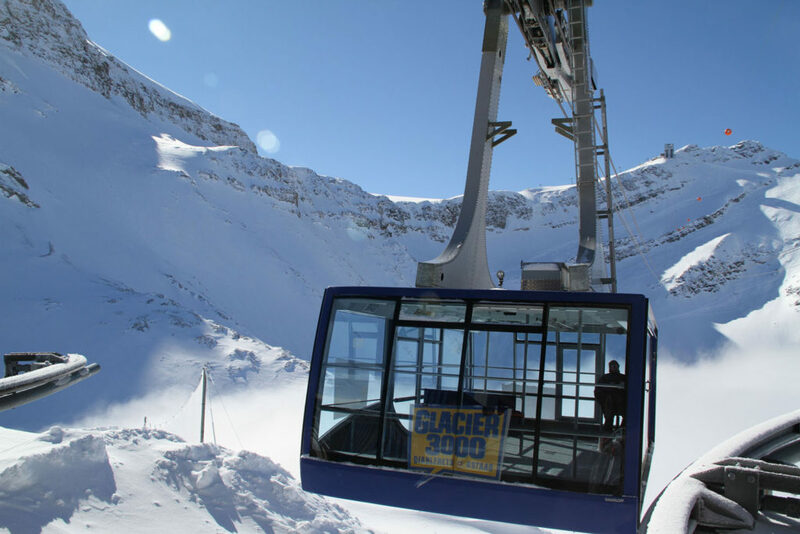 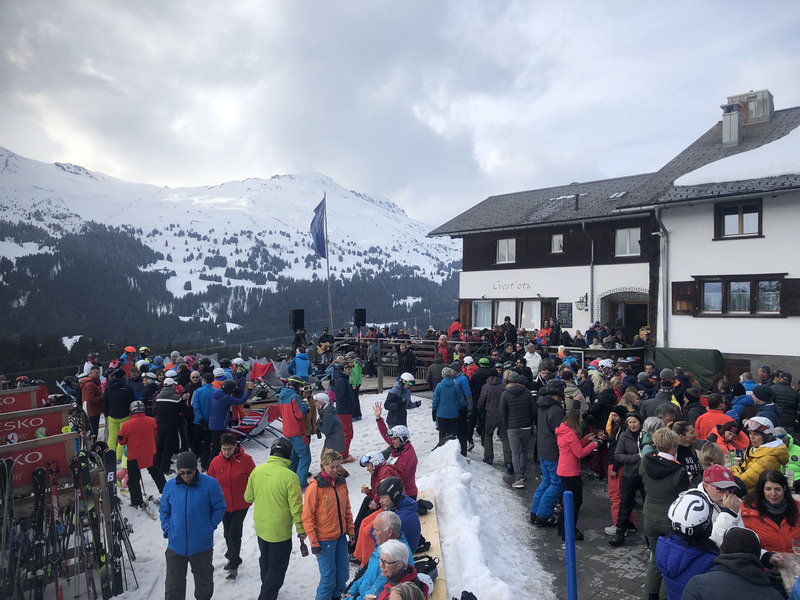 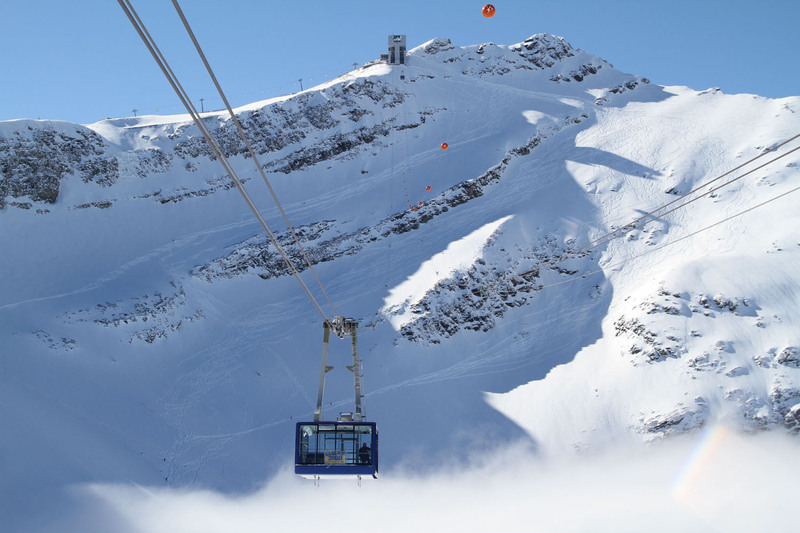 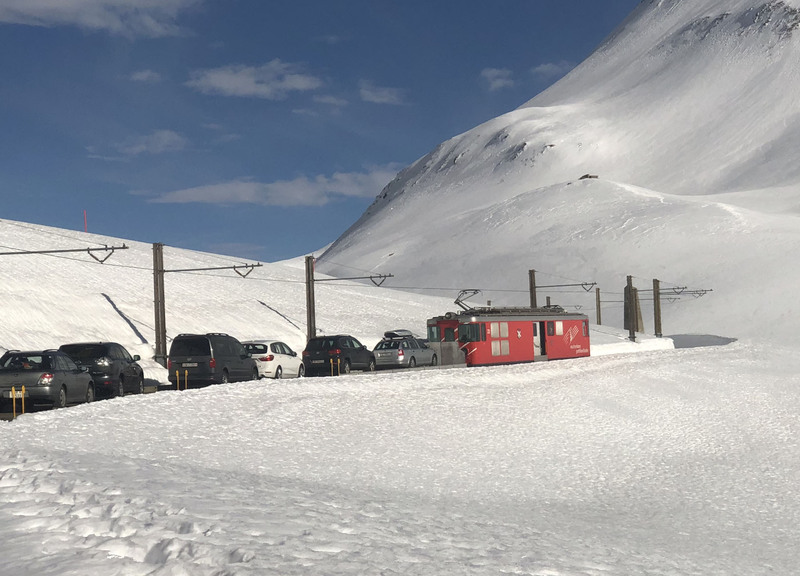 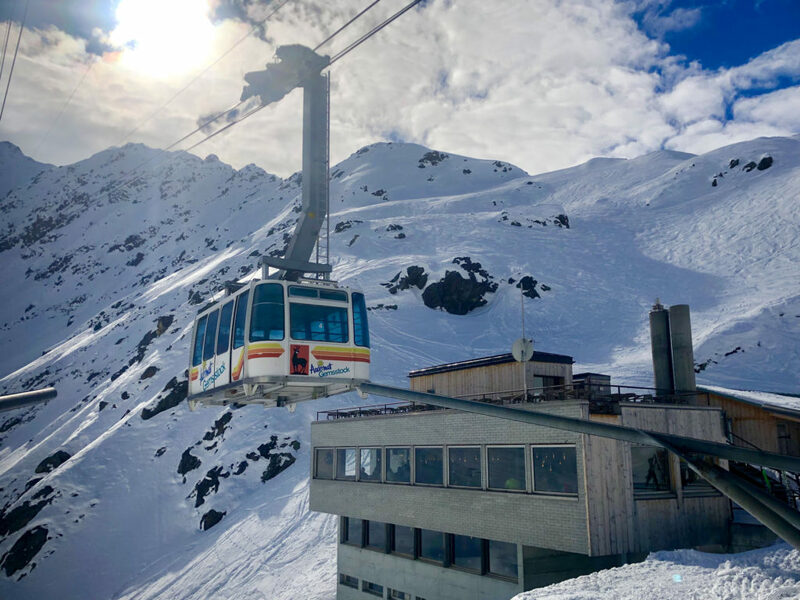 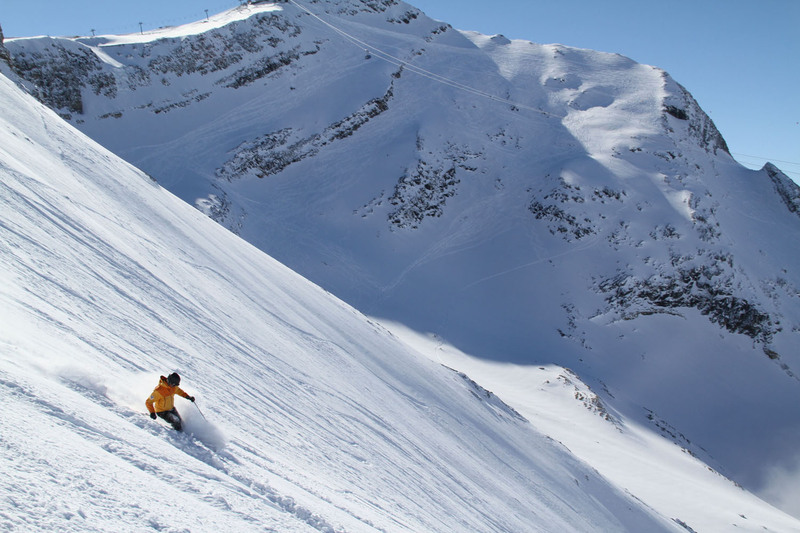 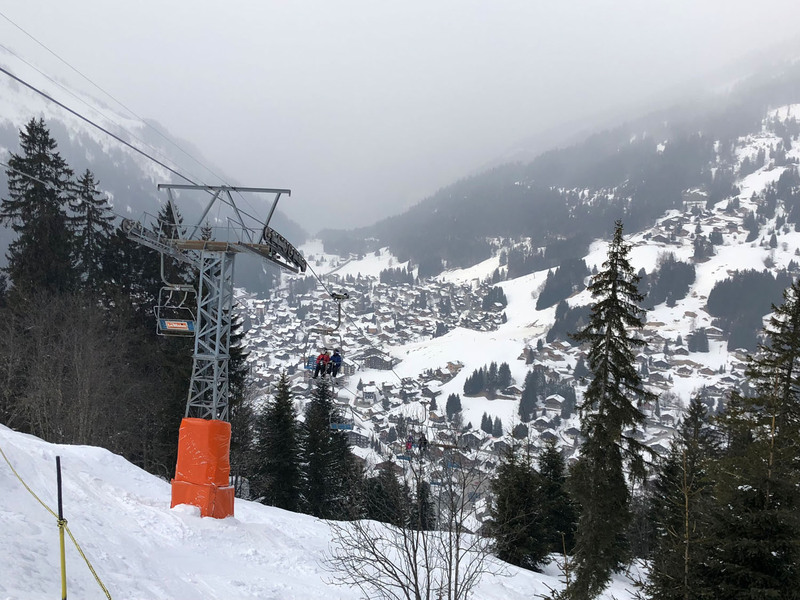 Modern lifts connect Lenzerheide to Arosa, and climb the impressive Rothorn peak. 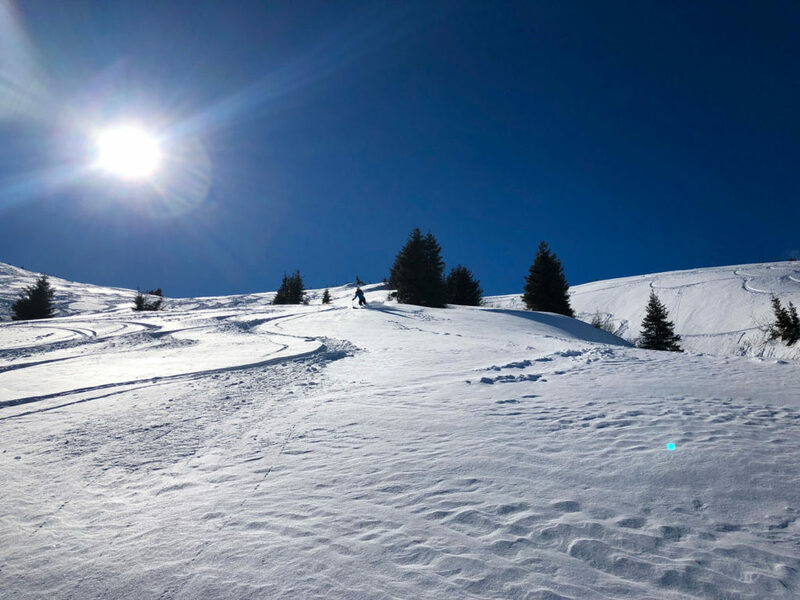 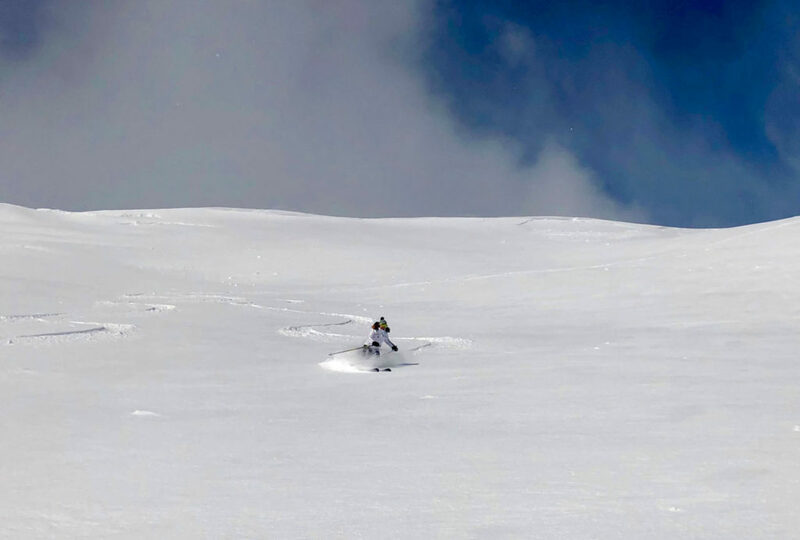 Families will love the sunny wide slopes, the World Cup race trail, and the sledding in the spectacularly scenic region. 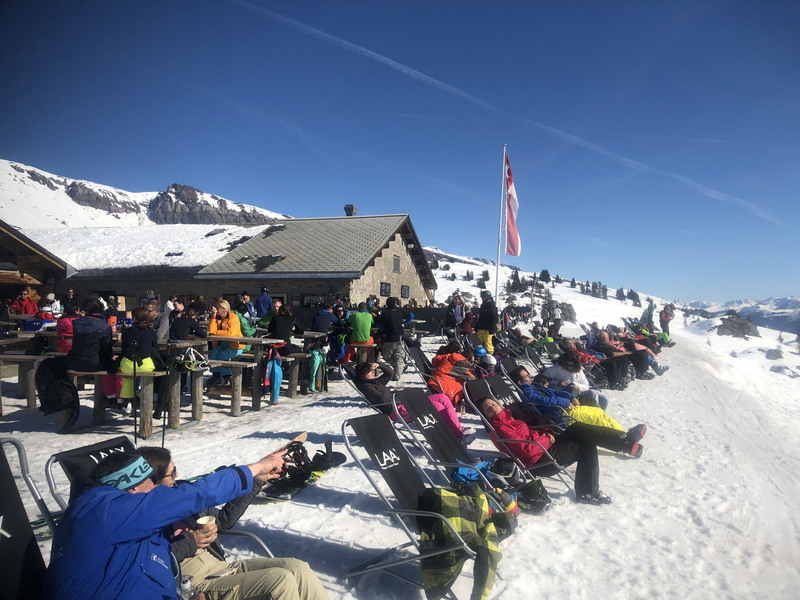 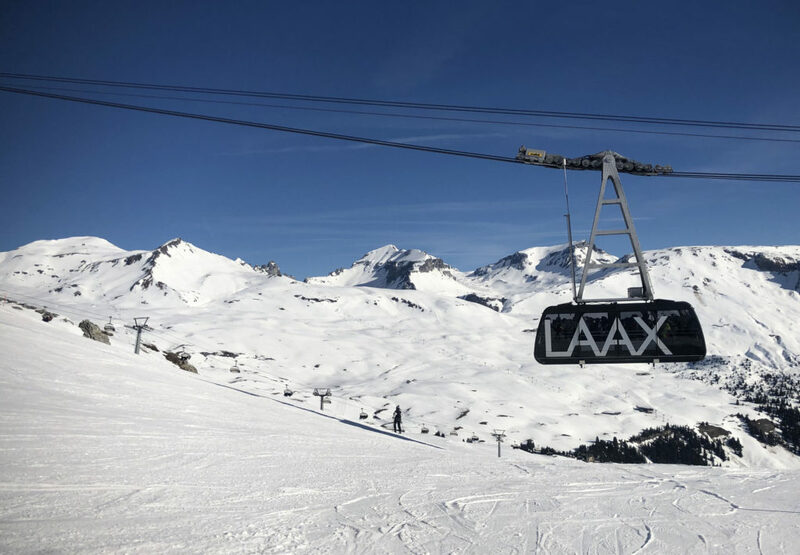 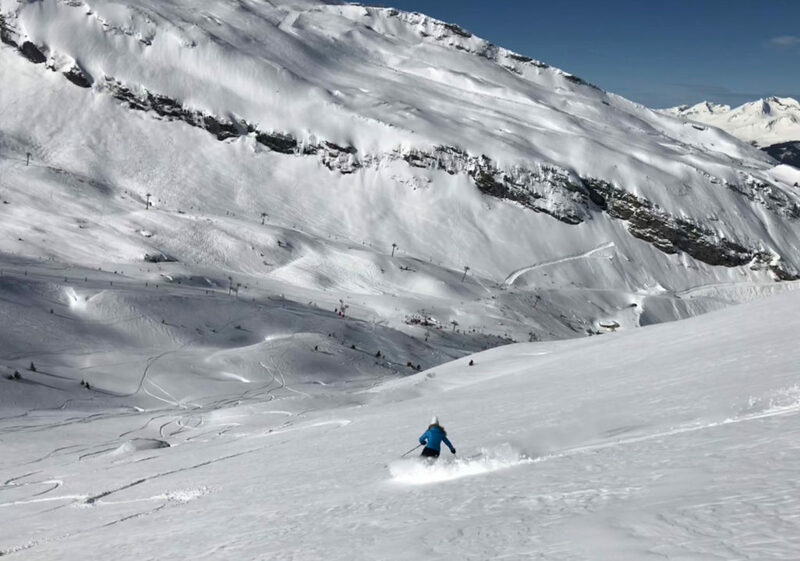 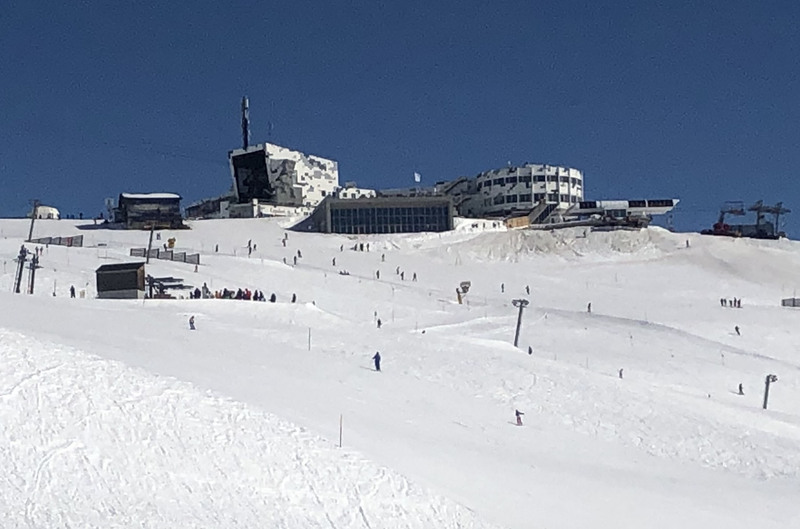 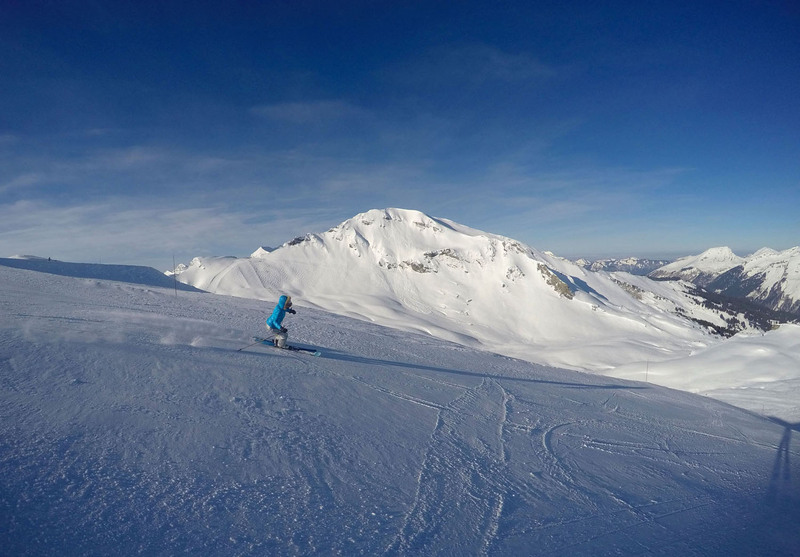 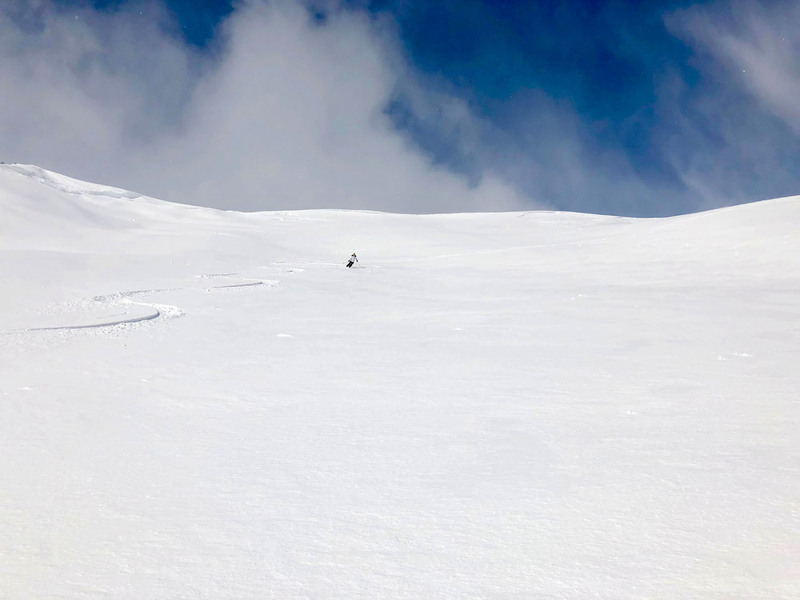 LAAX is a huge playground for skiers and riders in eastern Switzerland, with moderately pitched slopes and modern lifts, connecting three villages – Laax, Flims and Falera, with some of the best snow parks in Europe, a high glacier, and wonderful on mountain chalets. 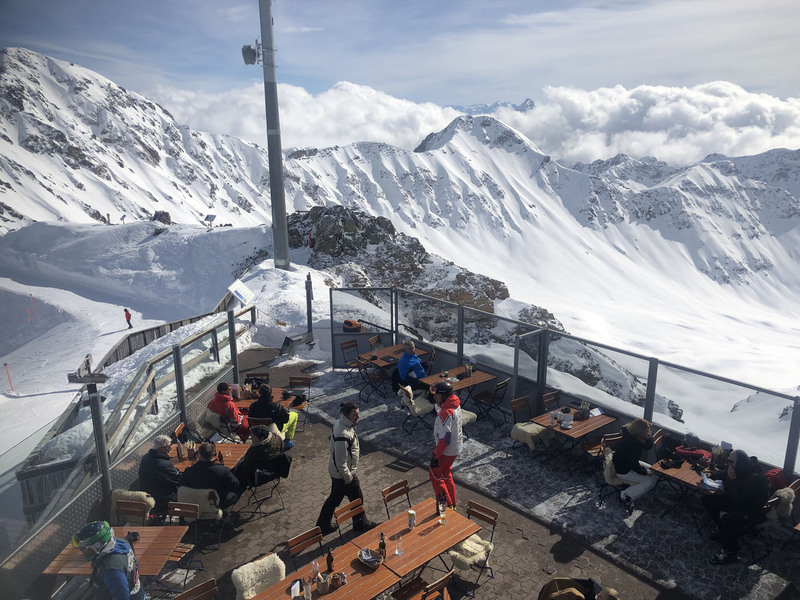 Andermatt-Sedrun is a great central Swiss family ski resort with significant new lifts, but still an authentic alpine village at the base. 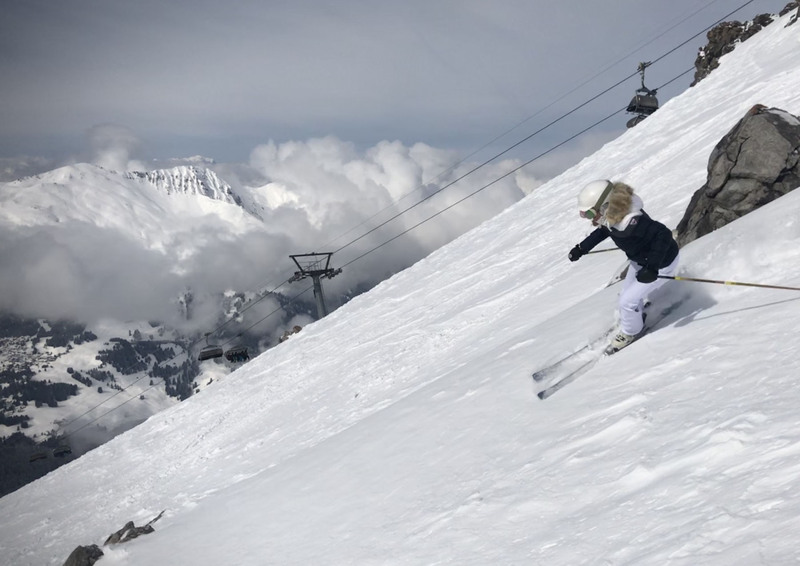 Kids will love the family ski zones and parks, parents – the sunny slopes, while adventurers will find serious challenge on Gemsstock. 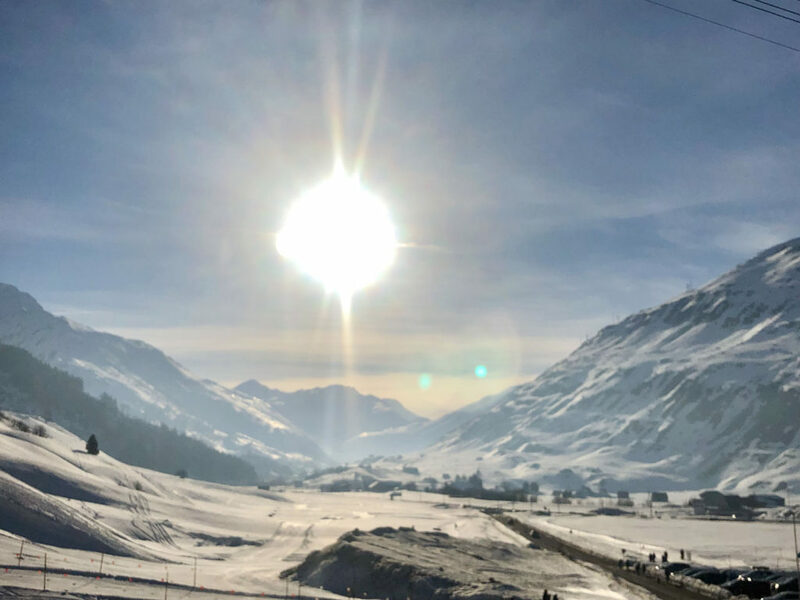 Andermatt is reachable on on the Matterhorn Glacier Express – centrally located at the Oberalp pass between Zermatt and eastern-most St Moritz. 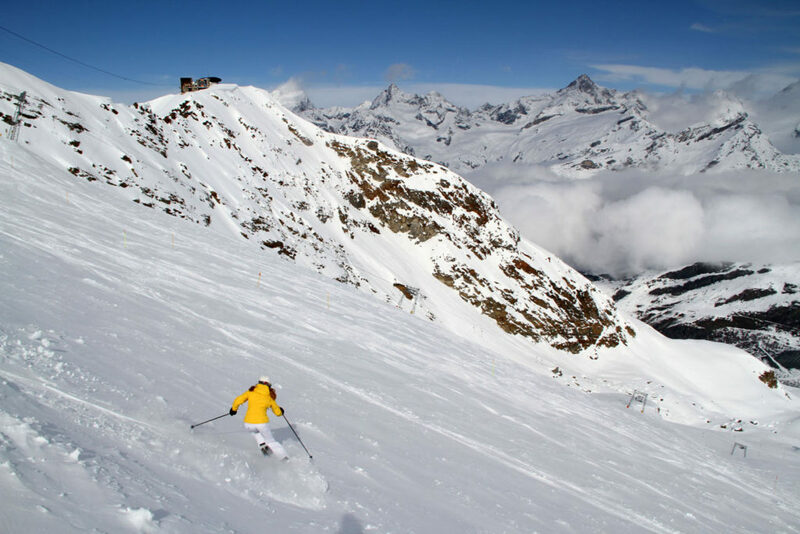 St. Moritz, part of the Engadin Valley of Switzerland, is famous for skiing on the Diavolezza glacier. 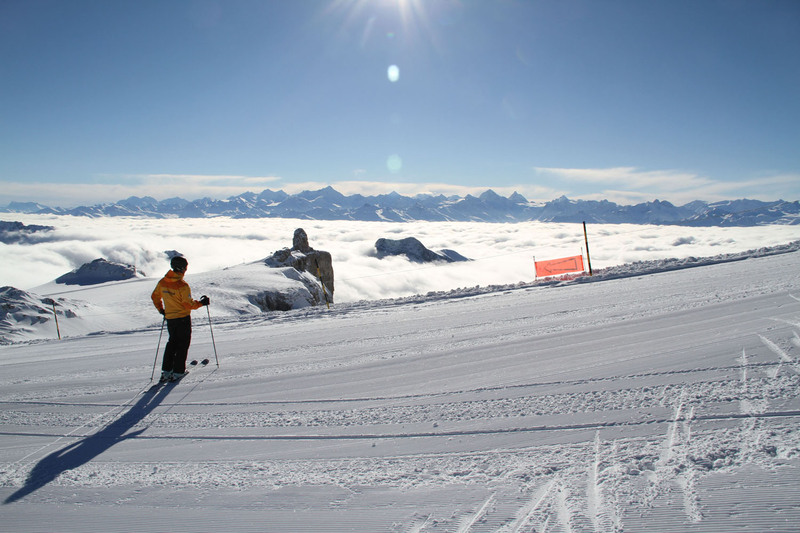 St Moritz’s tallest peak at 10,836′ offers a super long run over 10 kilometers to the village. 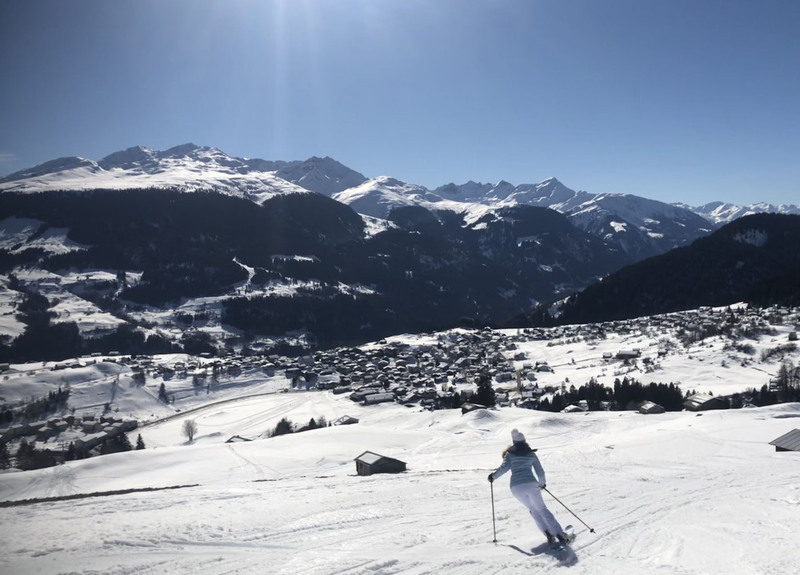 St Moritz is popular among wealthy skiing families, there’s even heli-skiing, and a great Swiss ski town at the base with top ski hotels, shopping and restaurants. With over 160 ski resorts in Switzerland, of the 320 in The European Alps, this is the ski capital of the Alps.